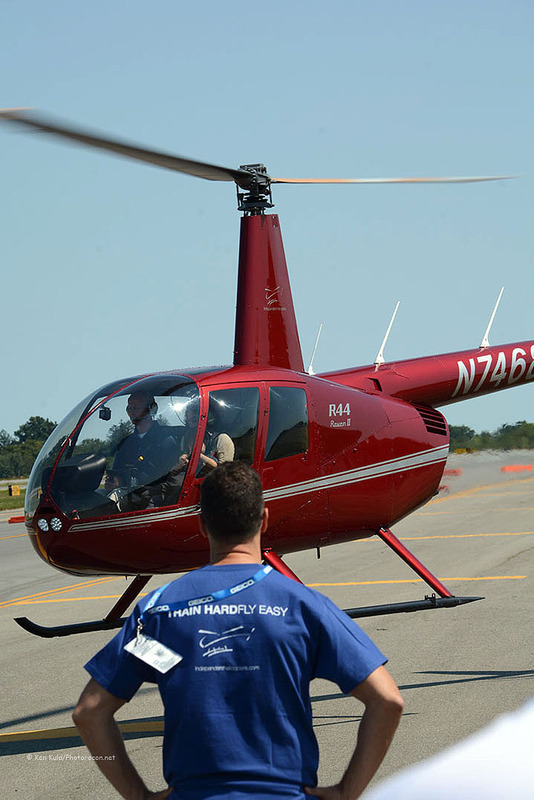 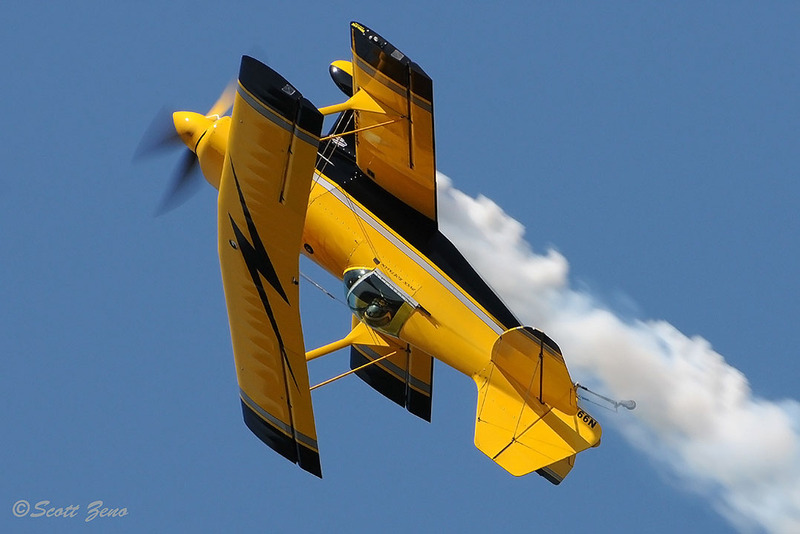 Riding high from a successful 2015 show, promoter Brian Lilly Co. was excited to announce their second annual New York Air Show. 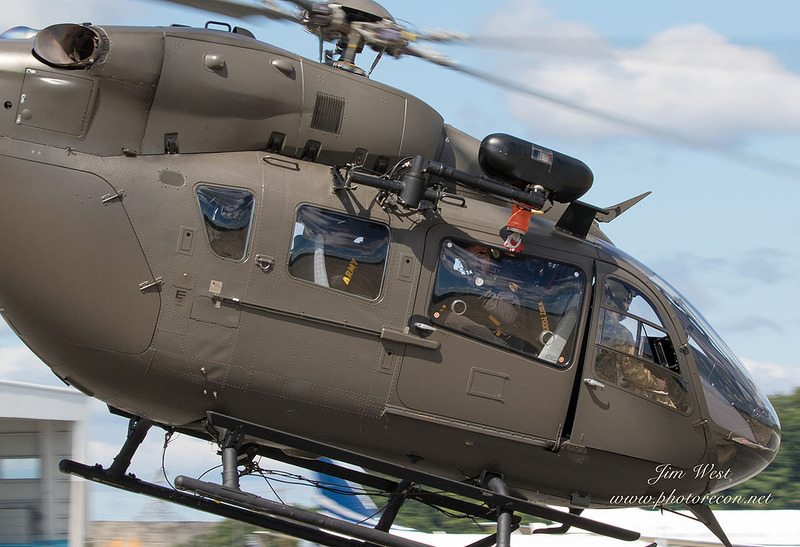 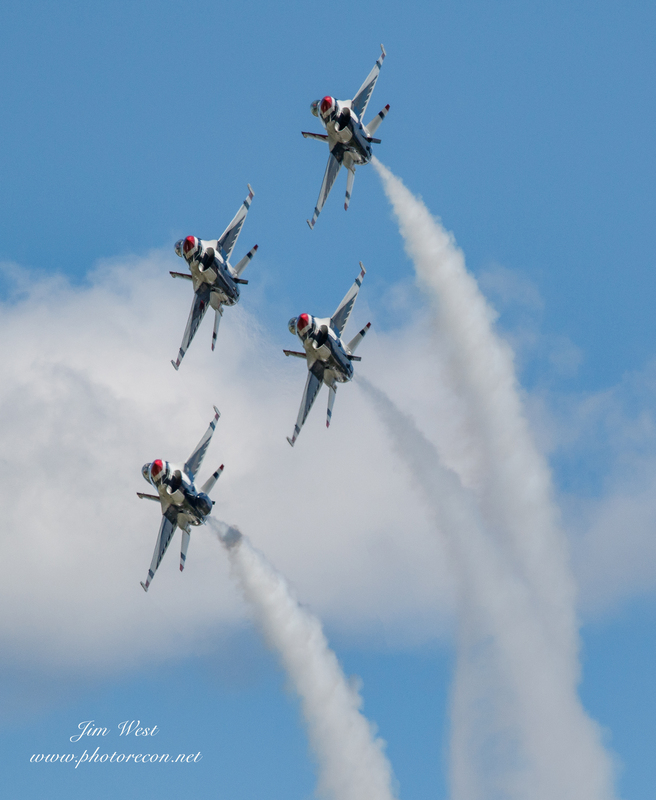 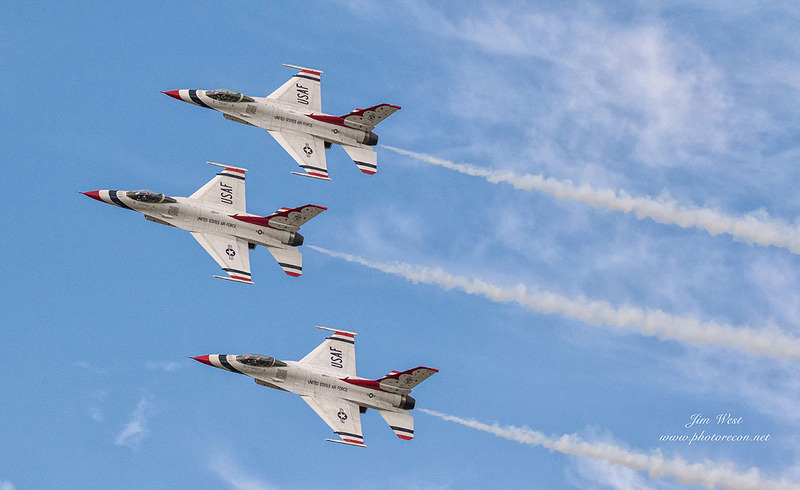 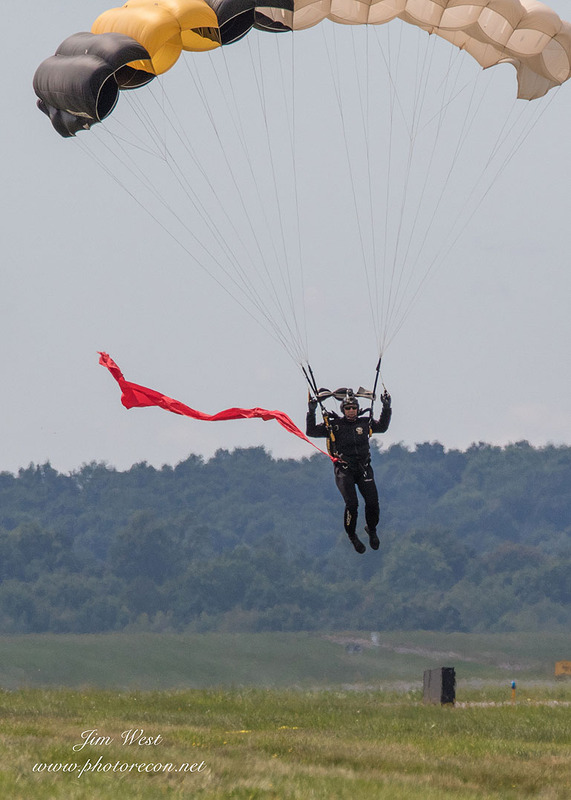 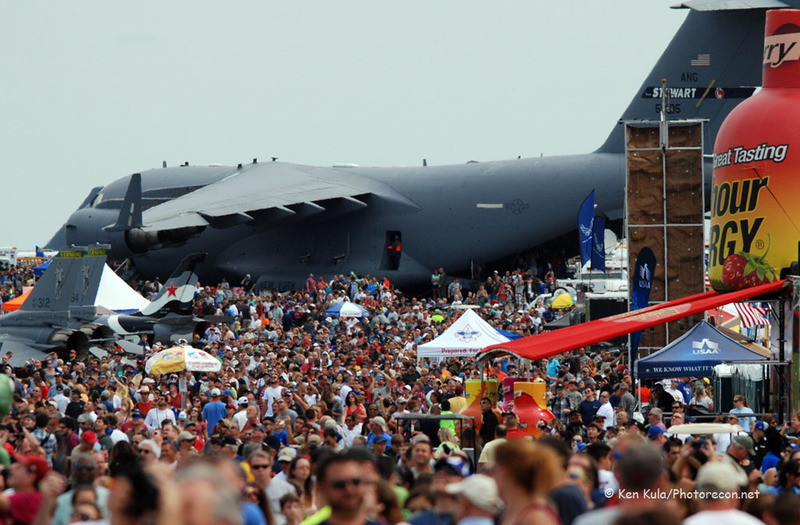 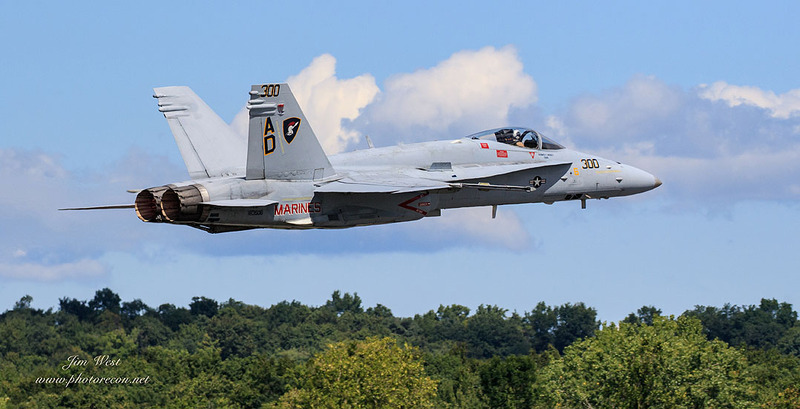 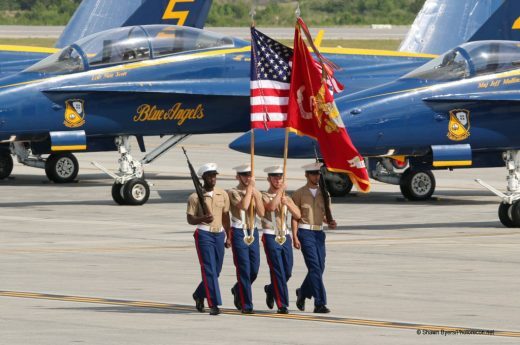 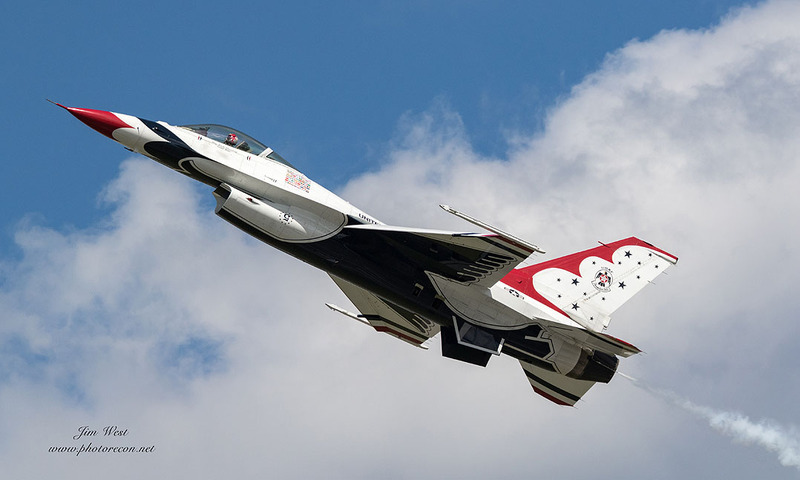 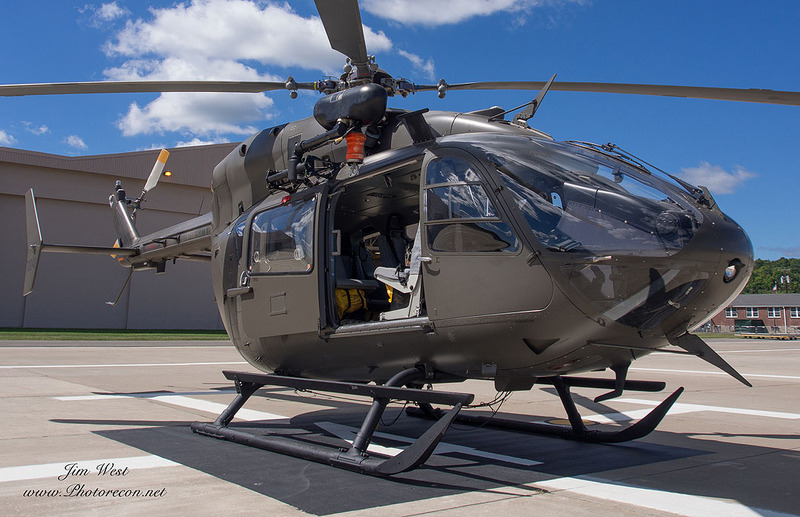 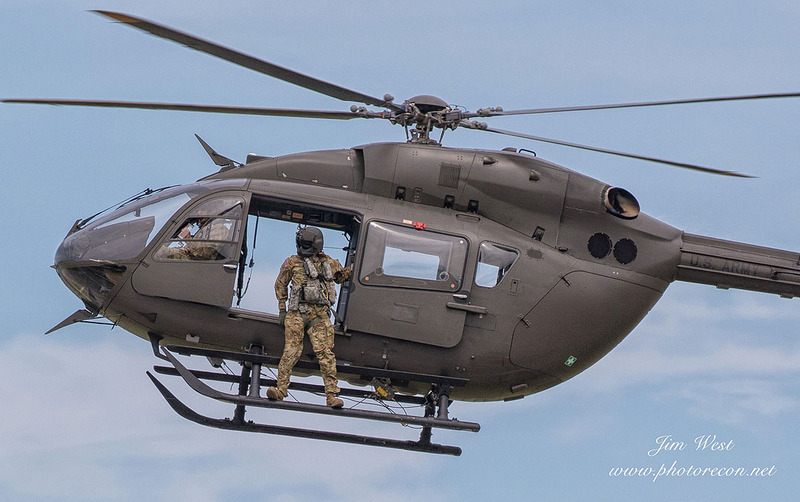 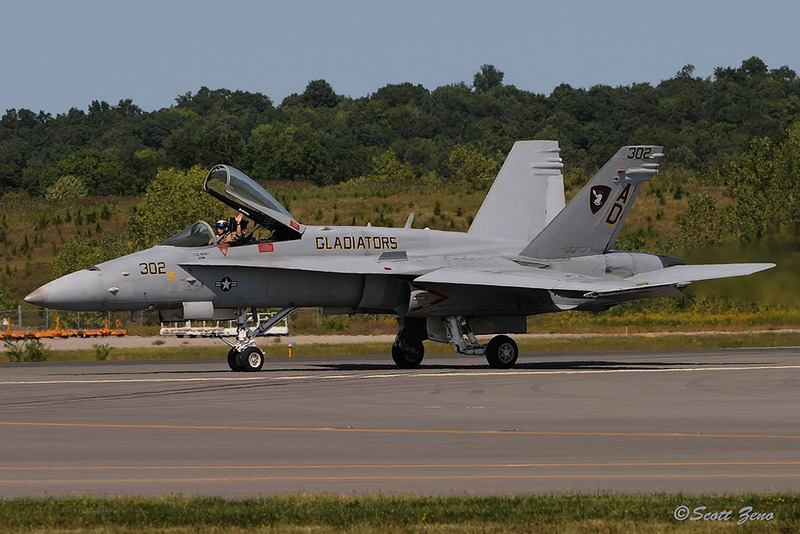 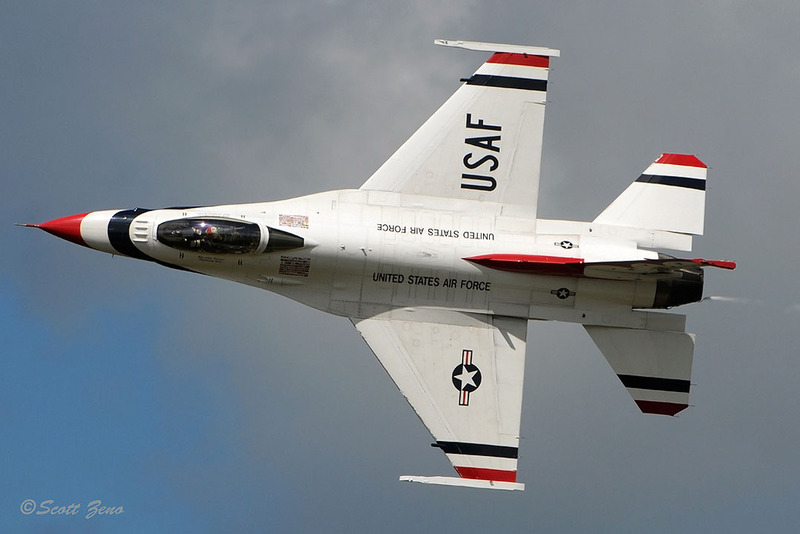 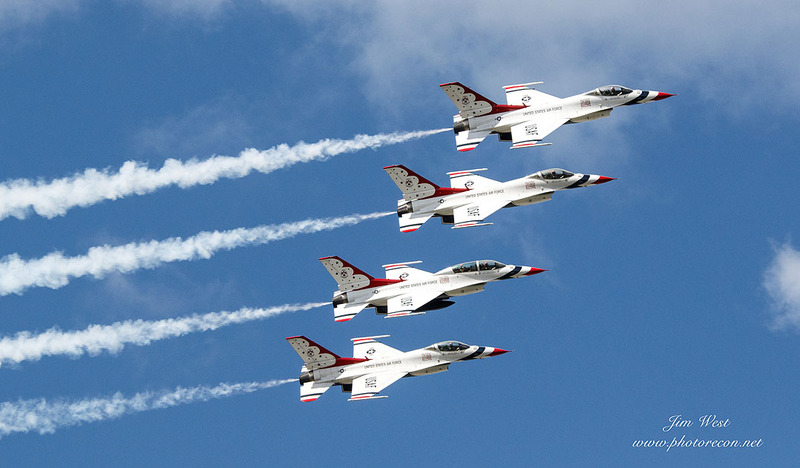 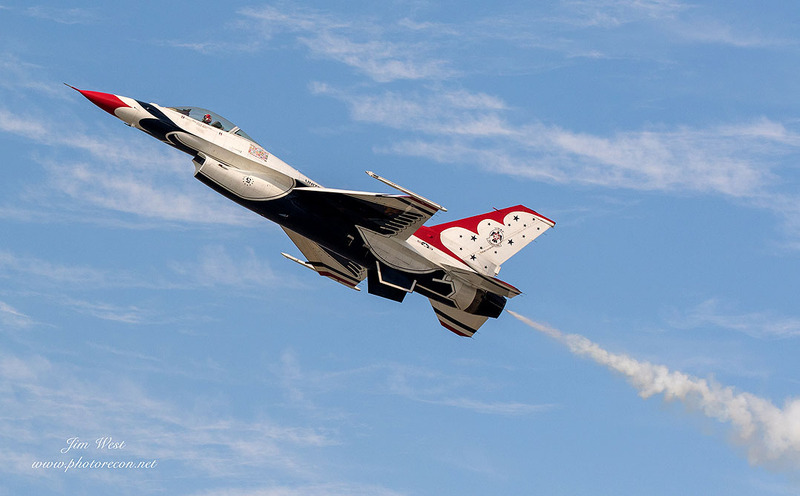 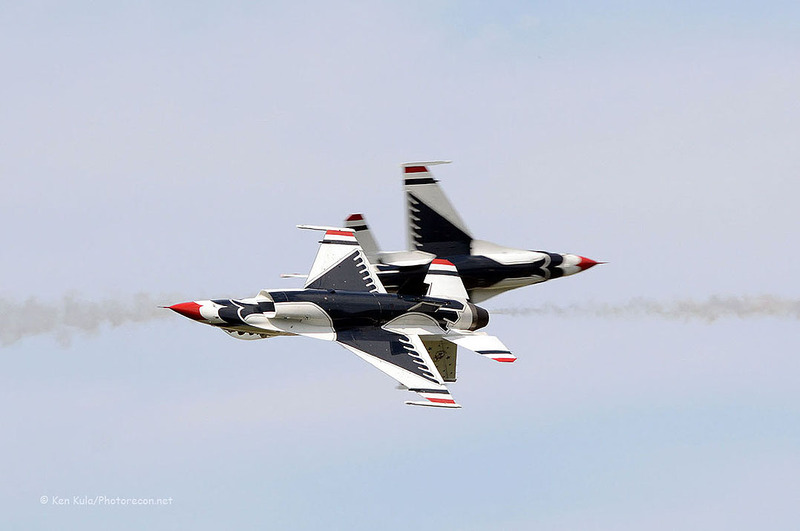 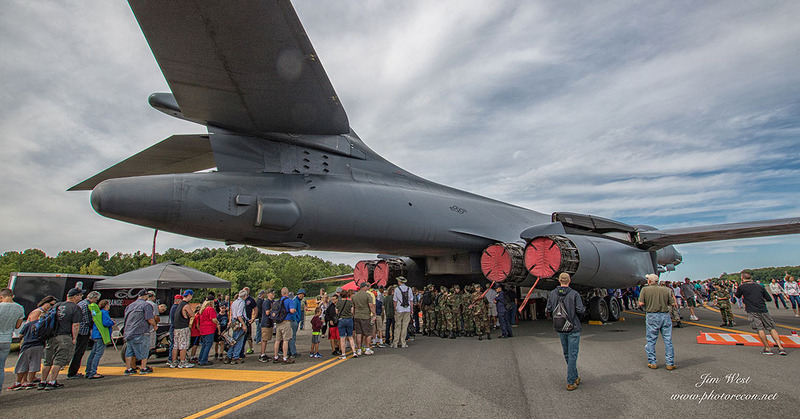 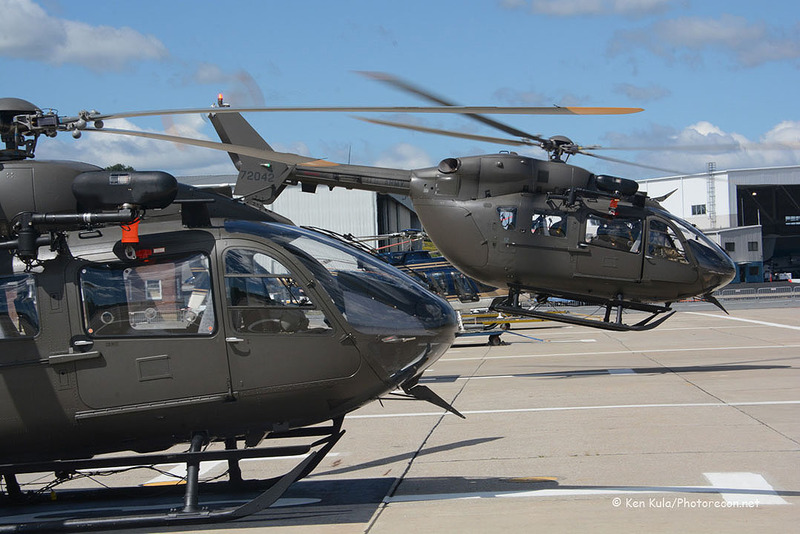 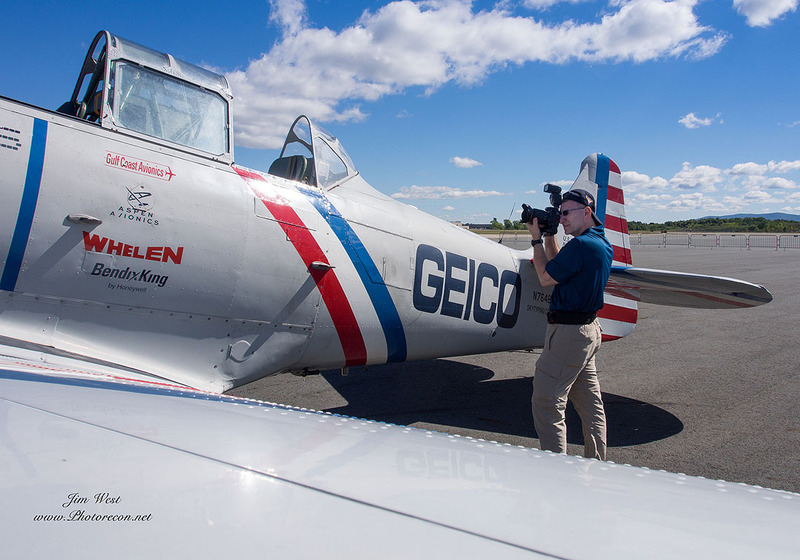 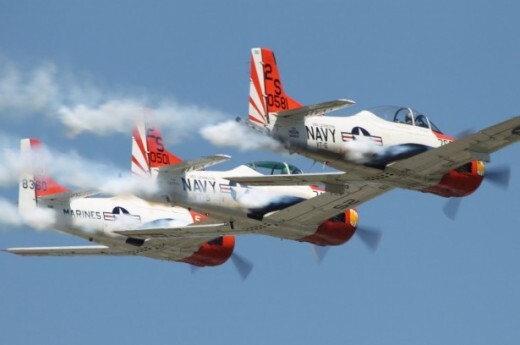 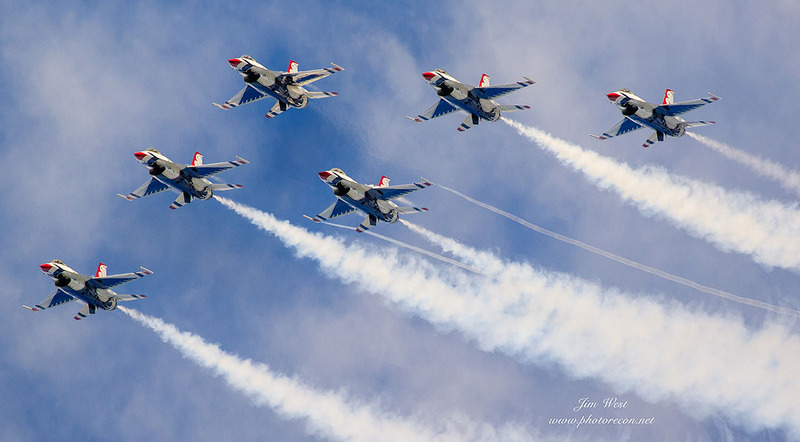 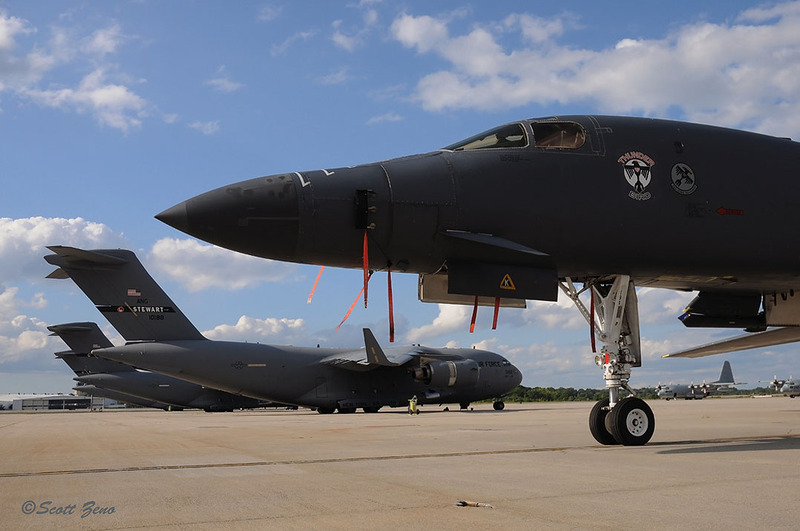 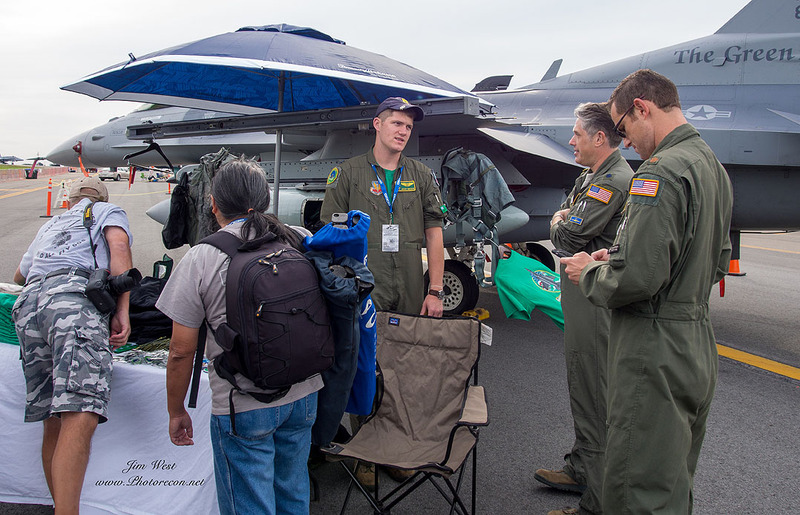 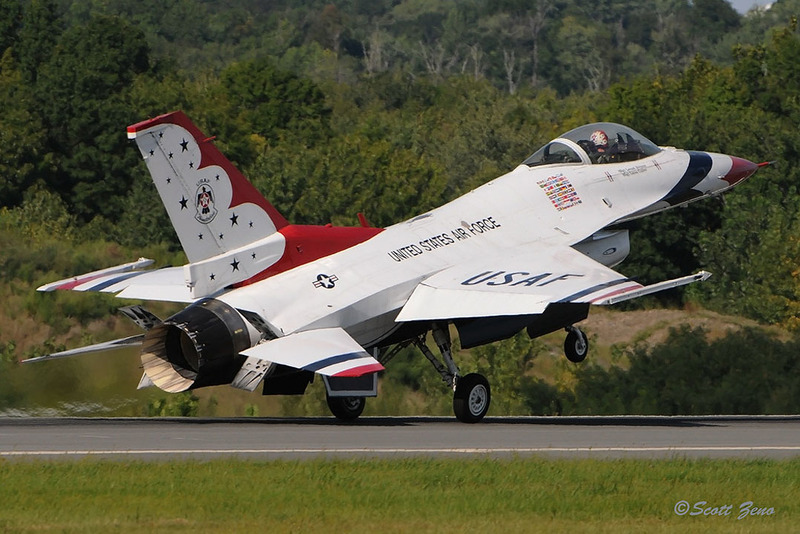 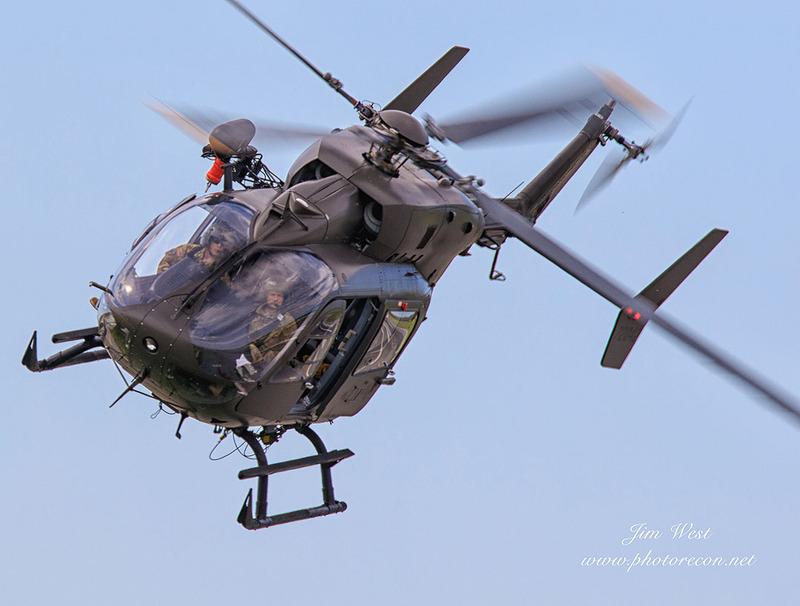 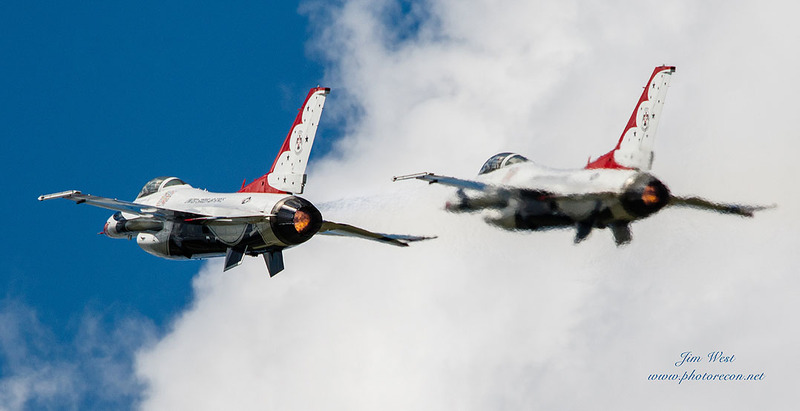 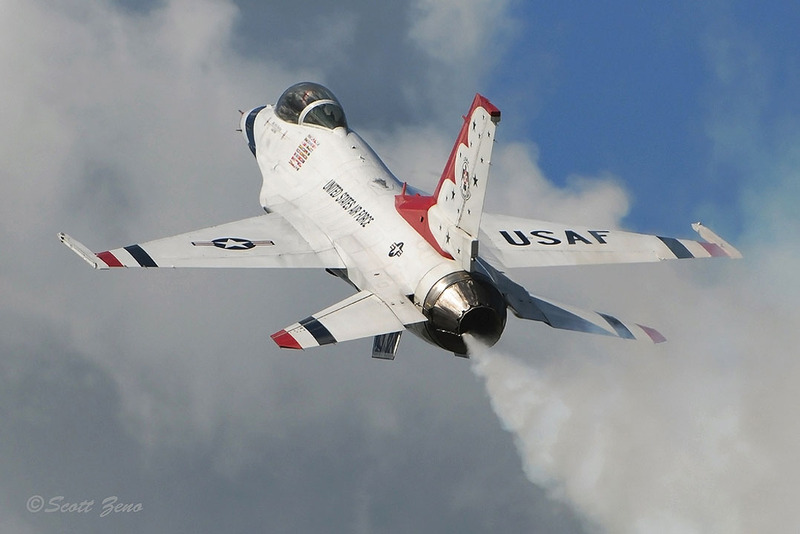 Nestled in the foothills of the Catskill Mountains, some of the nation’s top military and civilian air show performers were set to soar over Newburg, NY’s Stewart International Airport on September 3rd and 4th. 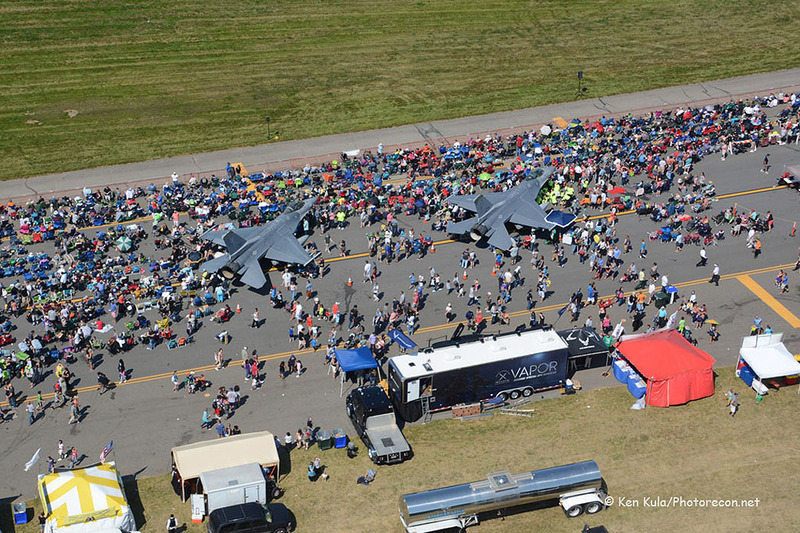 Among blue skies and dry comfortable September temperatures, the show opened with remarks by airport Executive Director, Ed Harris. 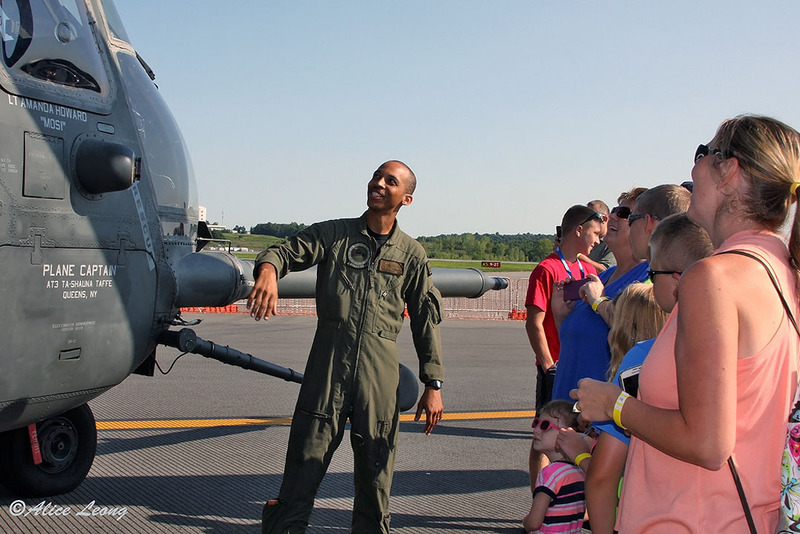 Mr. Harris thanked The Port Authority of NY and NJ, and Orange County, NY Chamber of Commerce before promising the audience the 2016 show would be a continuing tradition of having air shows at Stewart. 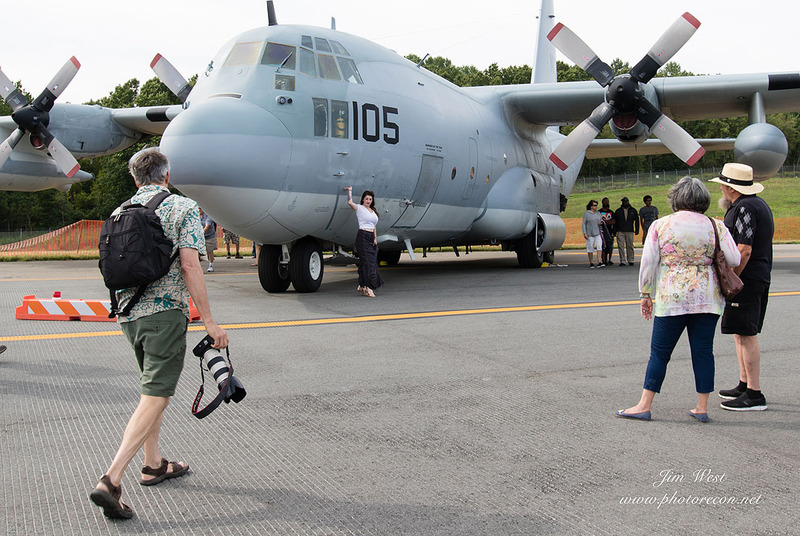 Gates opened at 9:00 am allowing the public ample time to browse Newburg’s very long ramp filled with static aircraft and numerous displays. 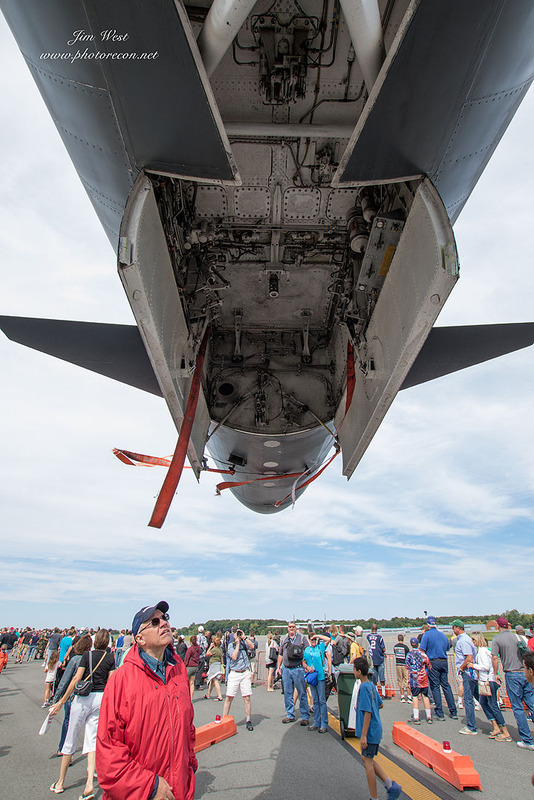 Although the official flying didn’t start until noon, early show-goers had the added treat of watching regularly scheduled airliners arrive and depart the airport before air traffic controls turned the airfield and airspace over to Air Show Boss George Cline. 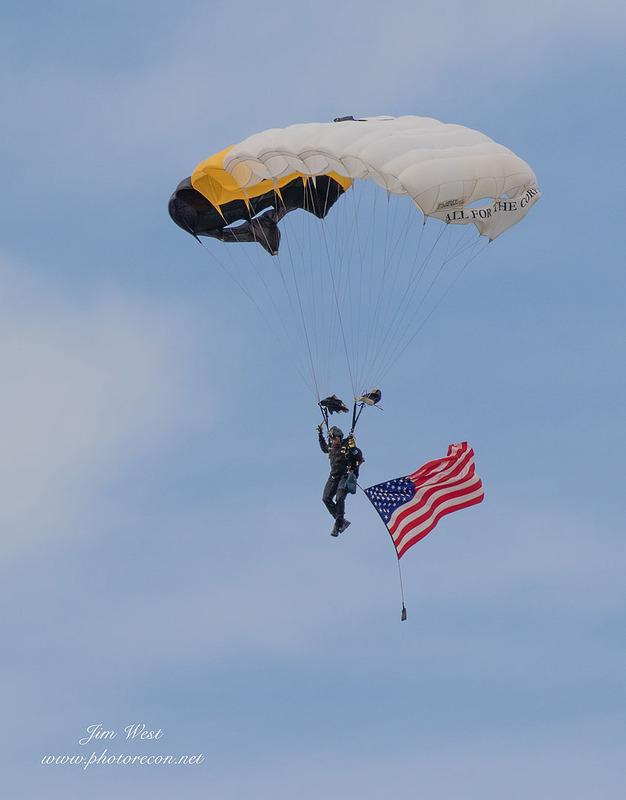 With Larry Strain announcing, the show got underway with the playing of the national anthem as the U.S. Military Academy’s Black Knights West Point Parachute Team jumped with the American Flag from one of Stewart’s based Army Lakota helicopters. 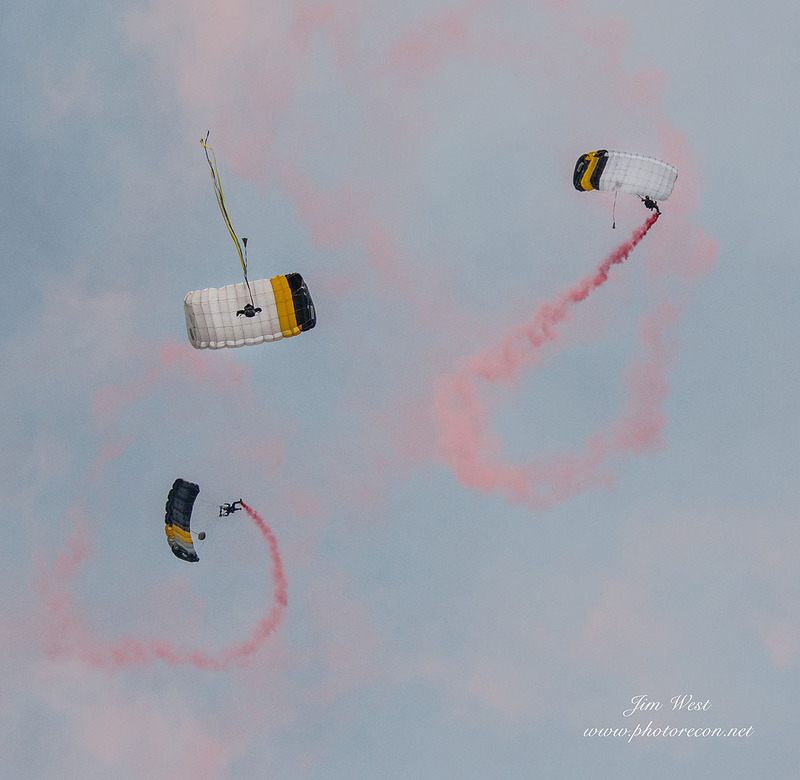 Descending from five thousand feet, Buck Roetman in his Christen Eagle with smoke-on circled the Black Knights jump team who had smoke of their own trailing from their boots. 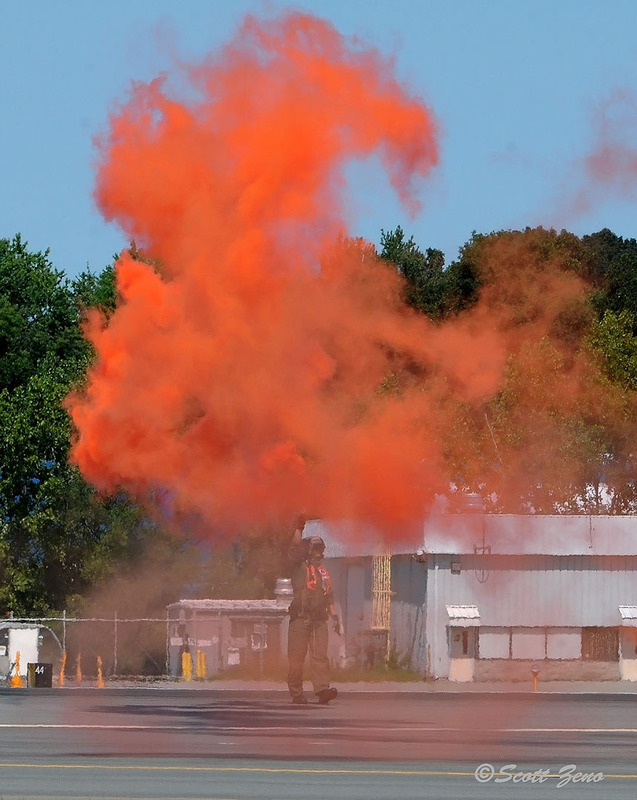 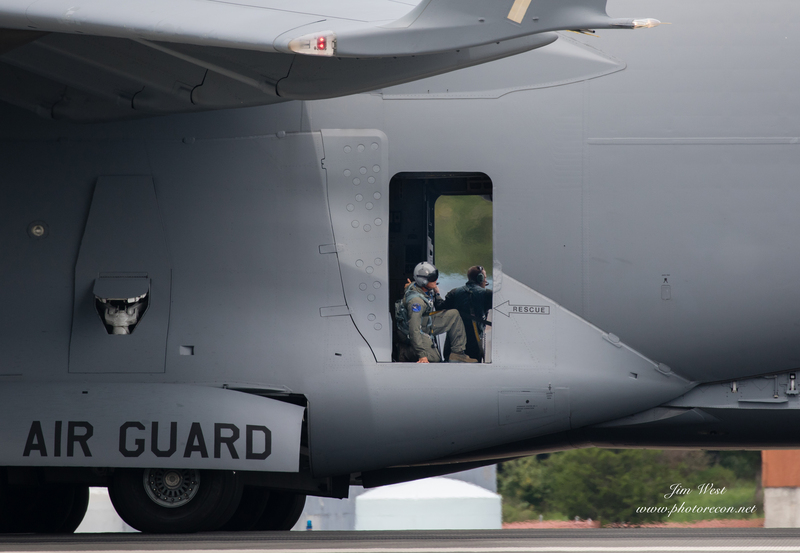 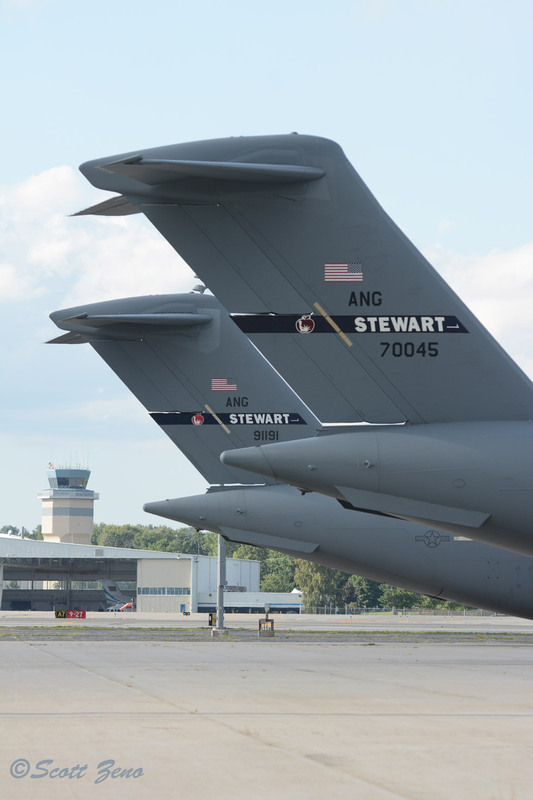 With jumpers safely on the ground, Newburg locals quickly recognized the sound of jet engines spooling up from one of Stewart’s eight C-17 Globemaster IIIs. 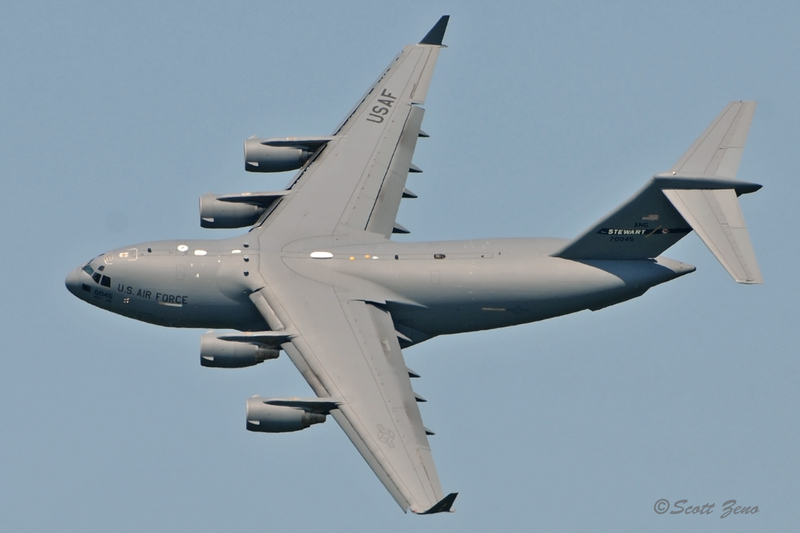 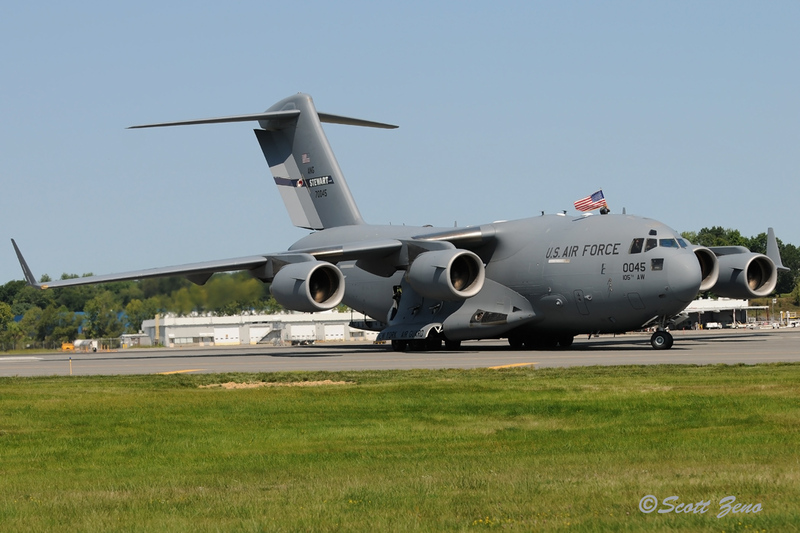 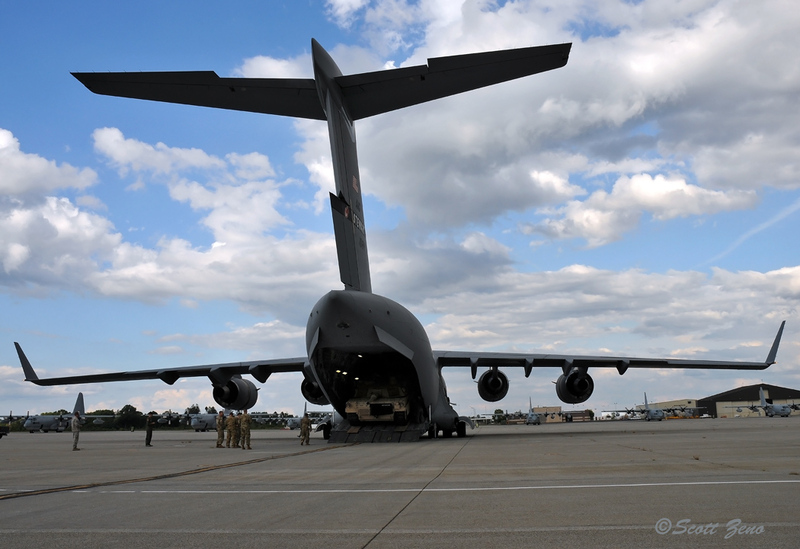 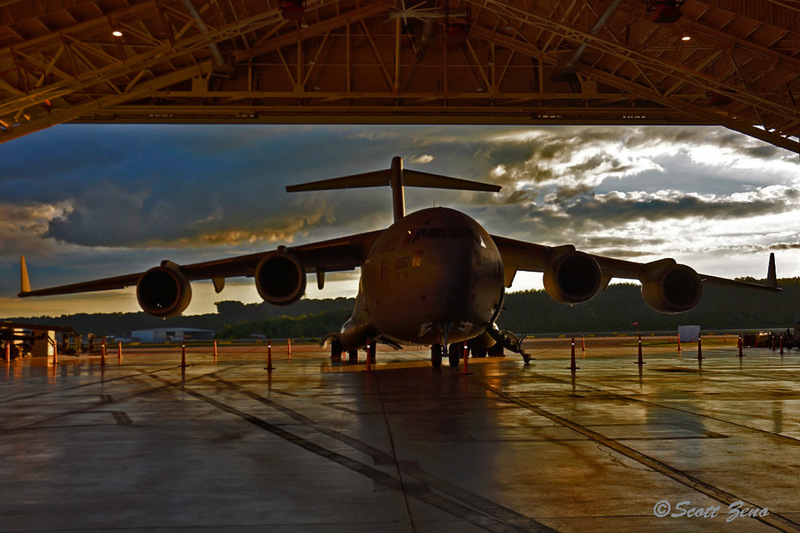 In July 2011, Stewart Air National Guard Base started receiving their first C-17s. 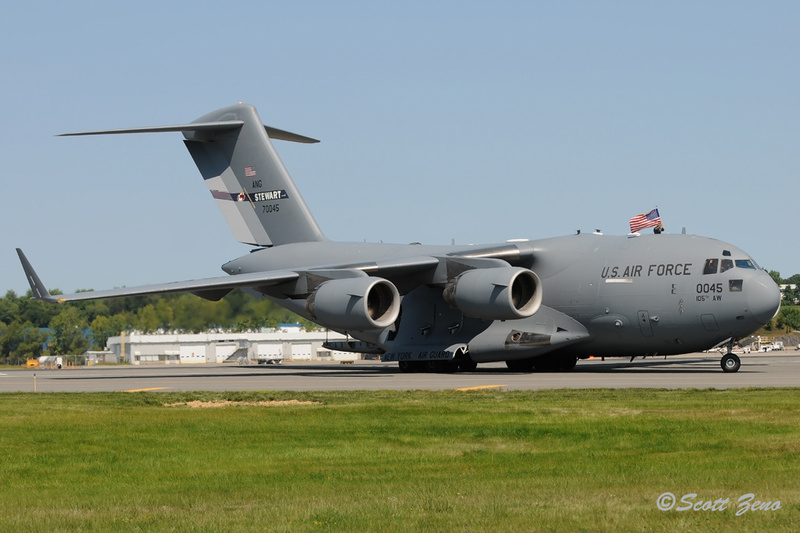 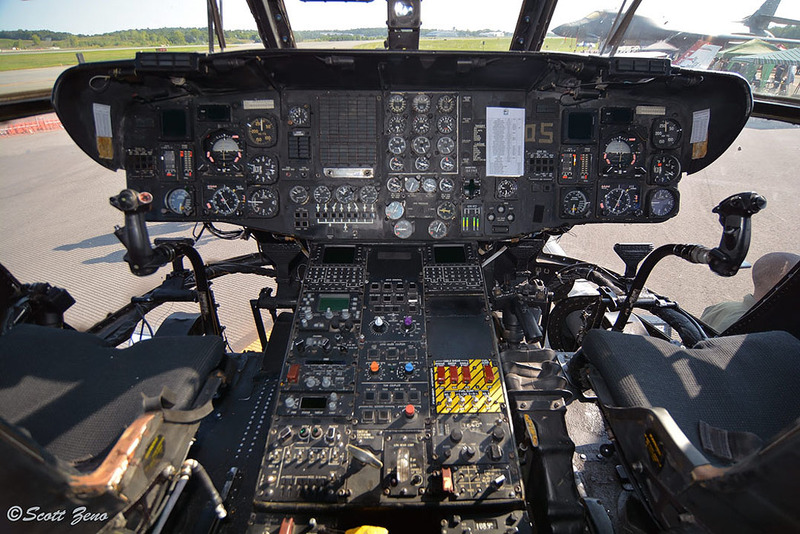 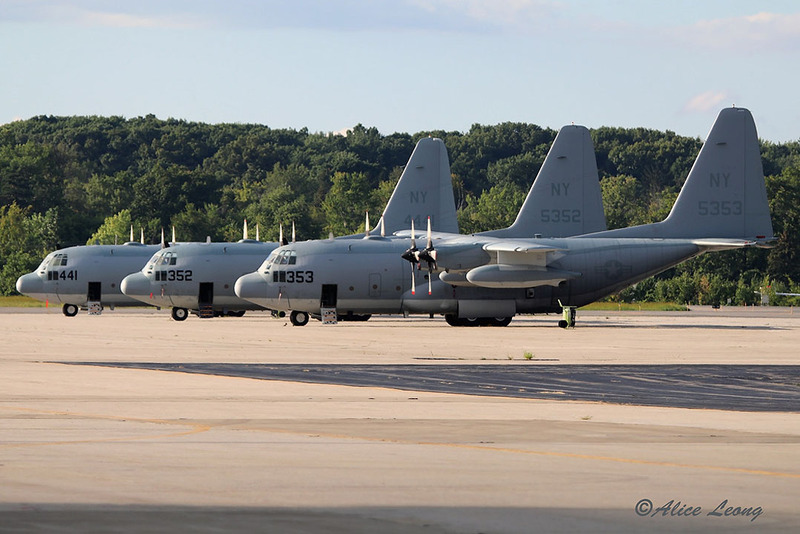 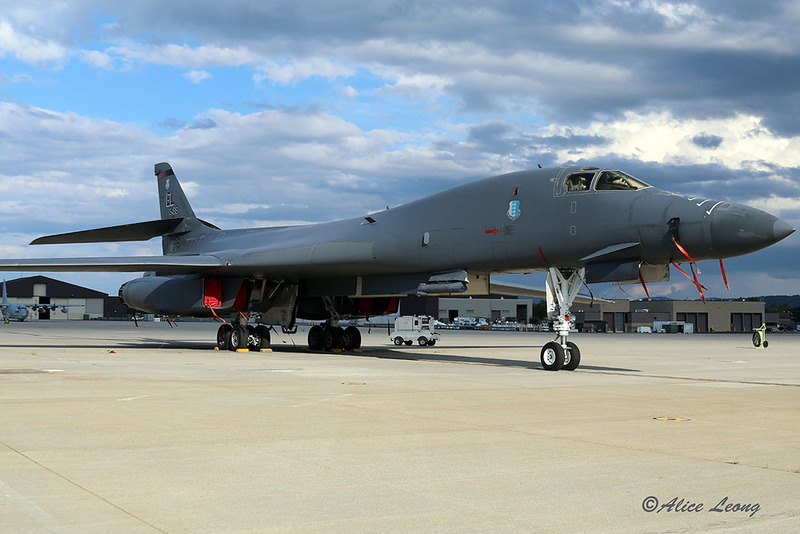 By May of 2012, they had acquired their full complement of eight new aircraft, replacing their aging fleet of twelve C-5As. 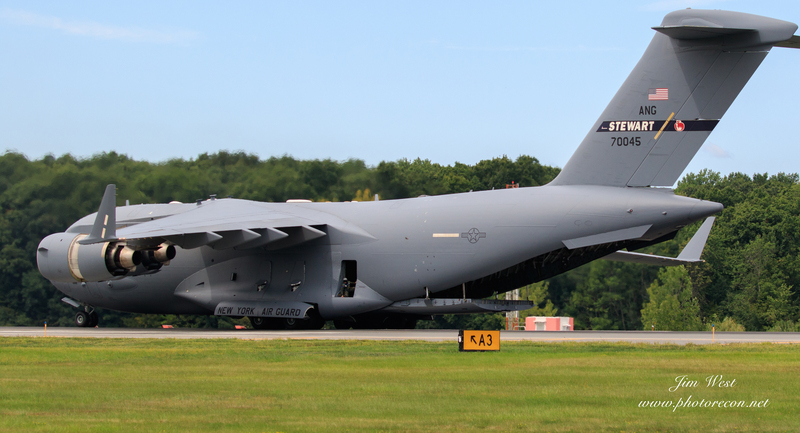 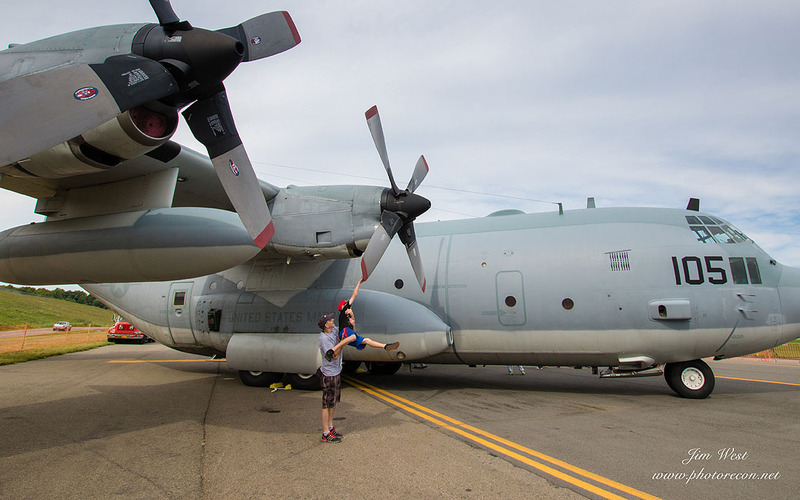 The Massive cargo plane, big as the Empire State itself, departed for its routine demonstrating its short-field (1,700 ft) and maximum gross weight (585,000 lbs) takeoff capabilities. 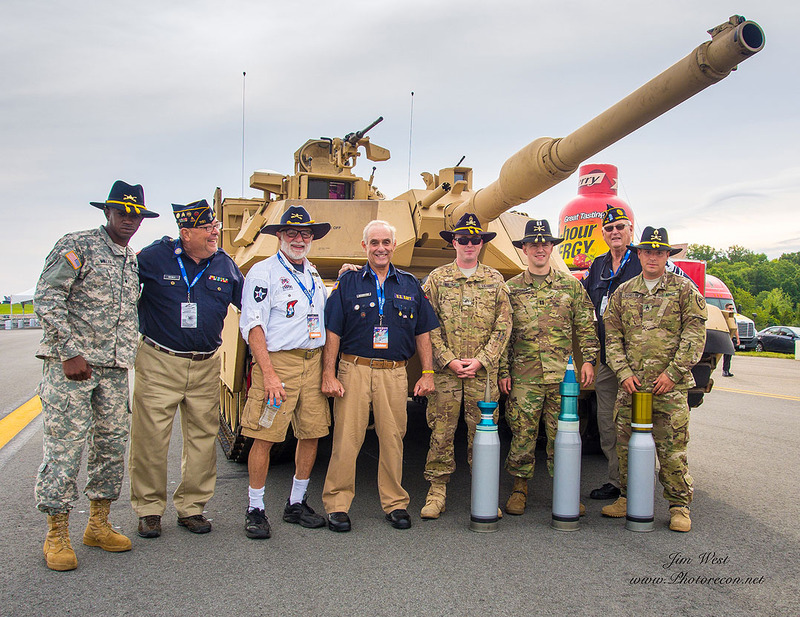 Prior to the show a M-1 Abrams Tank, on the ramp for display, had been transported from Fort Benning, GA by a Stewart C-17. 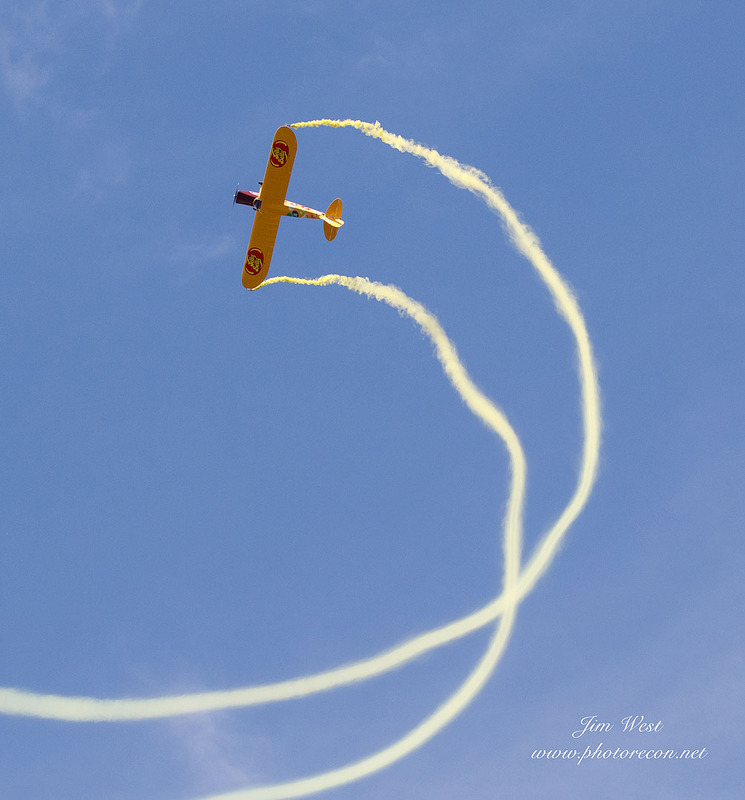 Once in the air the giant plane, nearly five stories high and more than a half of a football field wide, made about a dozen three-hundred-knot passes to the musical interludes of Frank Sinatra singing “Fly Me to the Moon.” Keeping it tight to the field, the performance was a photographer’s delight! 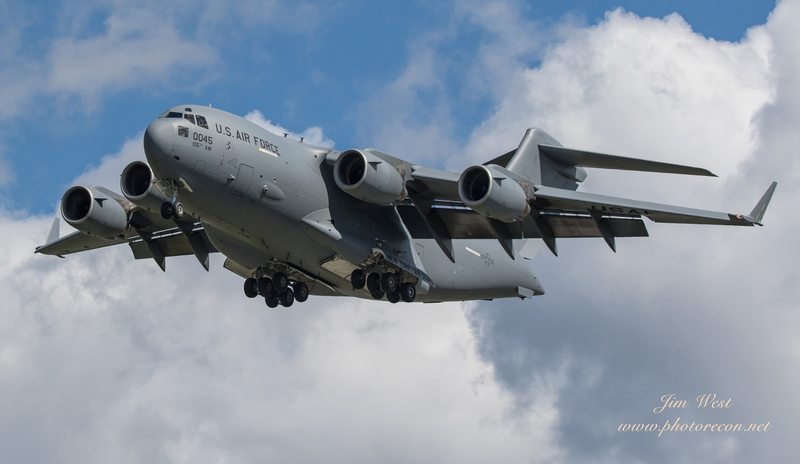 There was plenty of time to capture even more photos when Air Boss Cline asked for the audience’s silence when the Globemaster extended gear-down for the slow speed (120 mph) Whisper Pass. 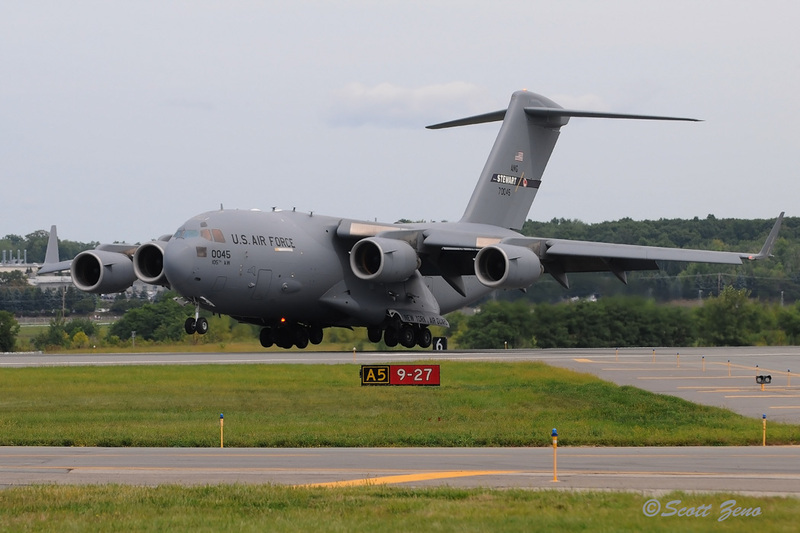 The C-17 then finished its demo with a short-field landing. 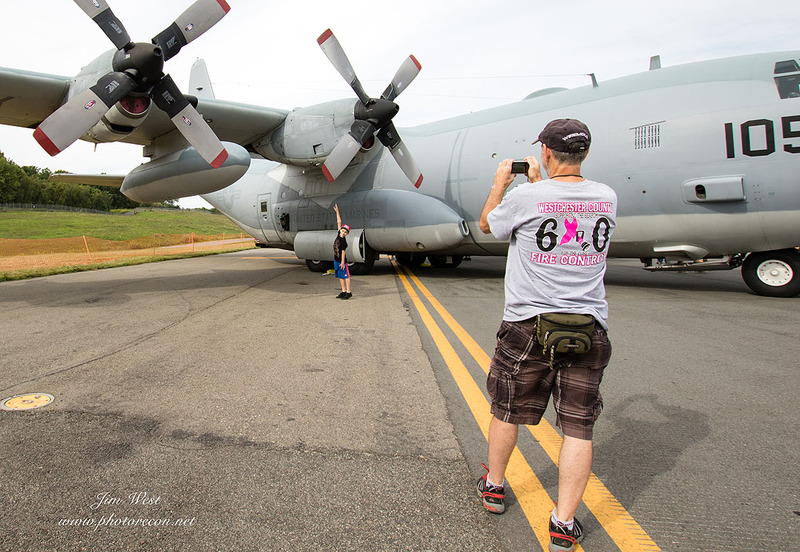 With a hard application to the brakes, clouds of black smoke and the smell of burning rubber tires were evident as the enormous plane came to a screeching halt before reversing course and backing down the runway. 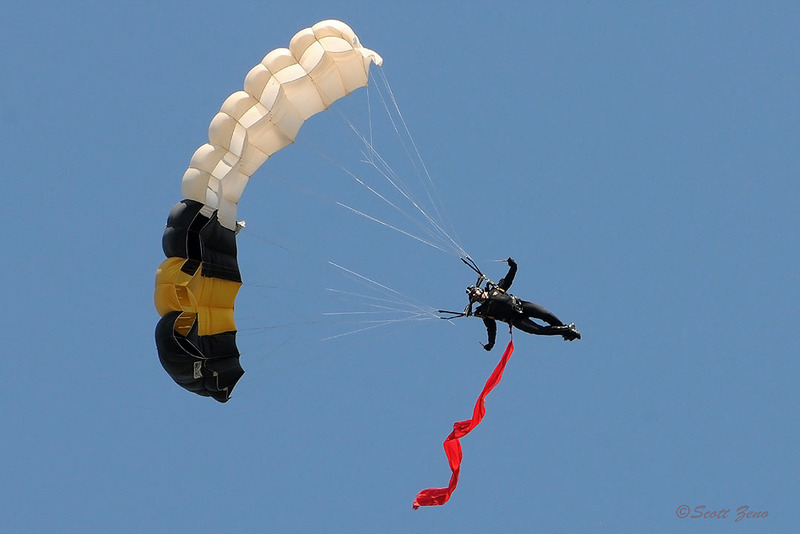 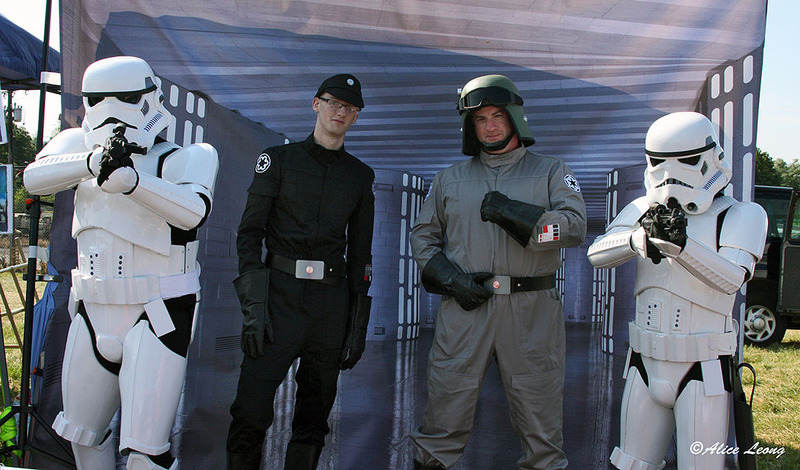 Several exciting civilian acts were interspersed among the military performers. 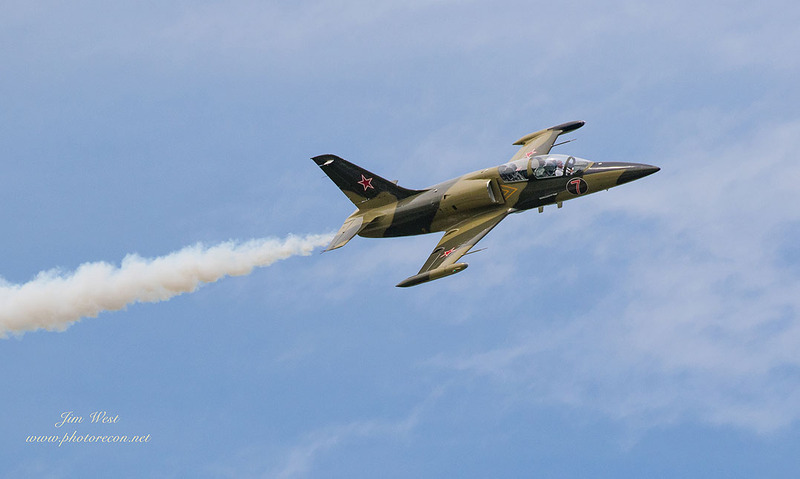 First up were tandem L-39 jets from The Warrior Flight Team. 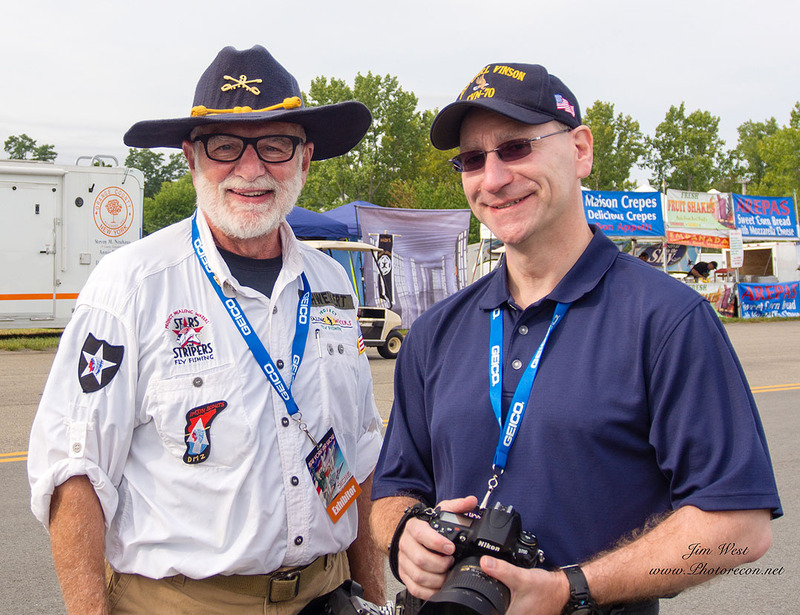 The Warrior Team is a 501(c)(3) non-profit organization of volunteers pledged to create opportunities for wounded veterans and their families to realize and follow their dreams. 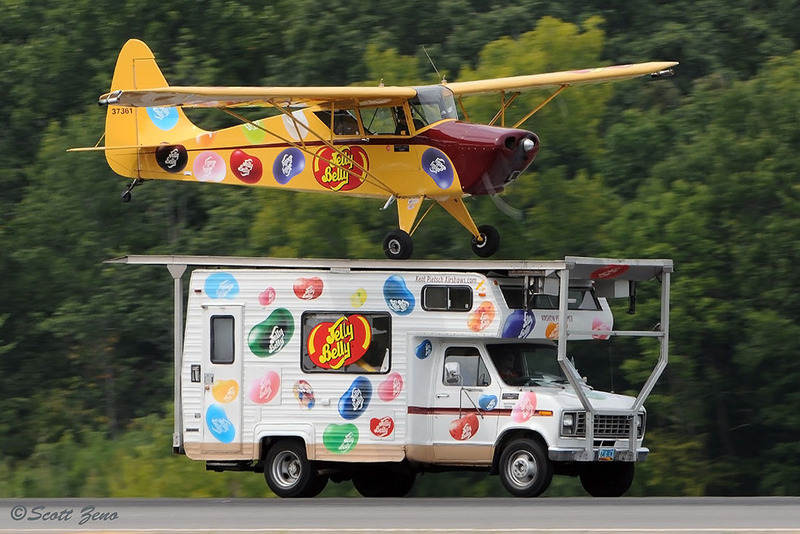 Next, Kent Pietsch is his Interstate Cadet “Jelly Belly” had the crowd roaring with laughter with his hilarious “Chuck Dramamine” comic routine. 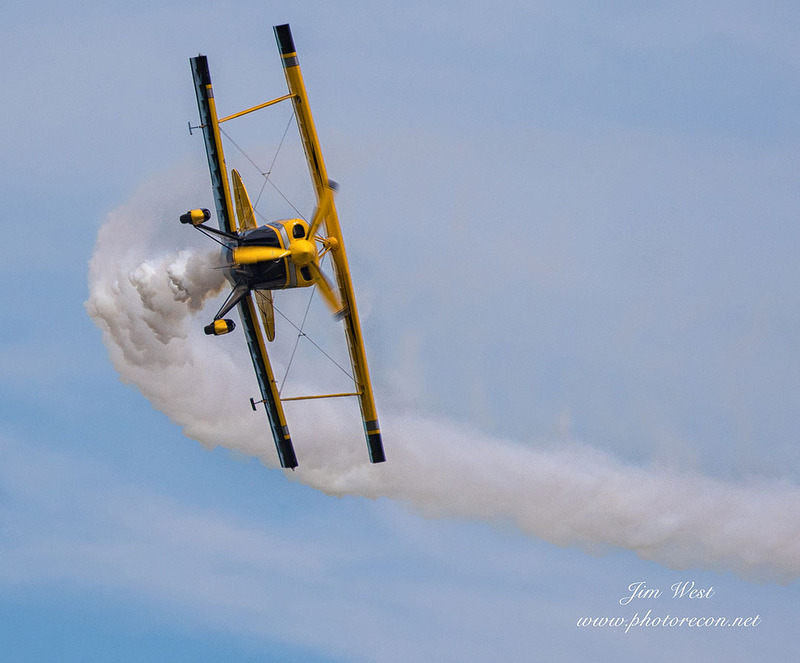 Later in the day, Kent had the crowd riveted when he flew “Jelly Belly” with no power and no props turning, to a dead-stick landing, rolling up the runway and stopping right at the nose of show announcer Larry Strain. 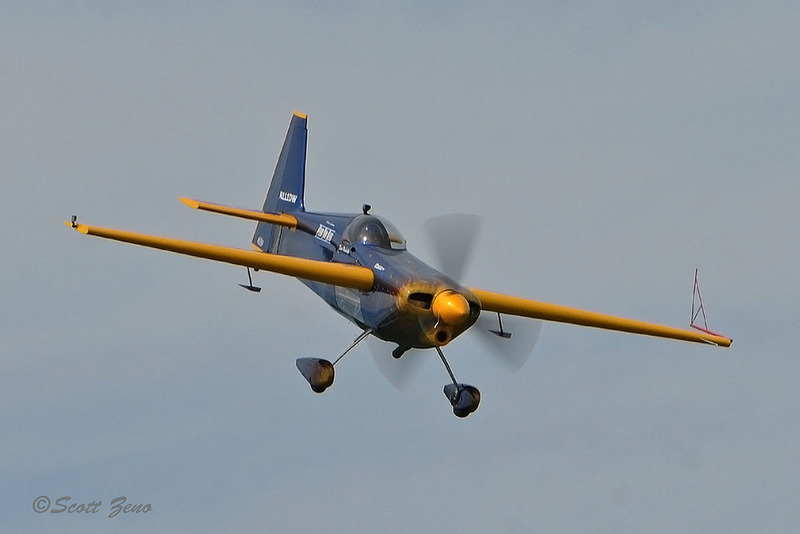 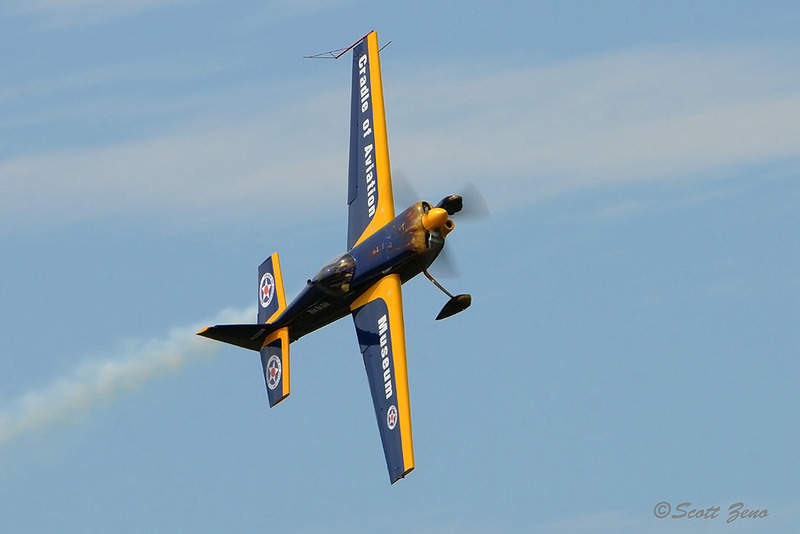 David Windmiller’s followed with tumbling knife-edge passes in his Zivko Edge 540. 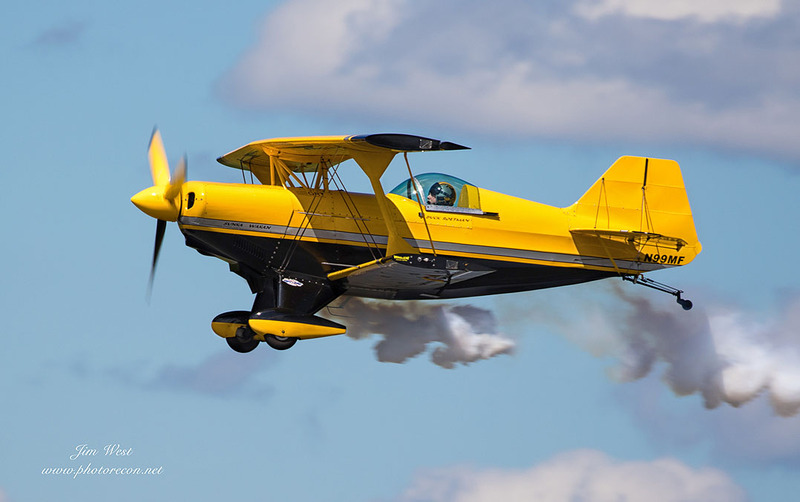 Returning to center stage from the opening flag jump was Buck Roetman in his Wild Horse Aviation yellow bi-wing airplane. 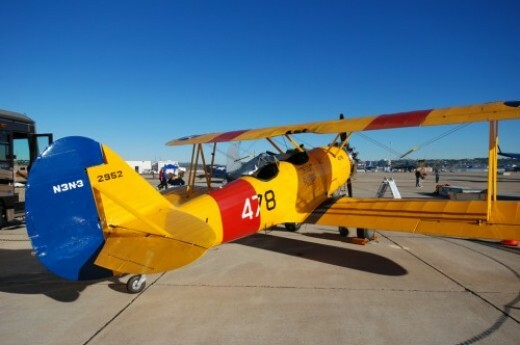 Reminiscent of the Barnstorming days, Buck twirled and tumbled from an altitude of 15,000 feet; reaching speeds of 140 mph. 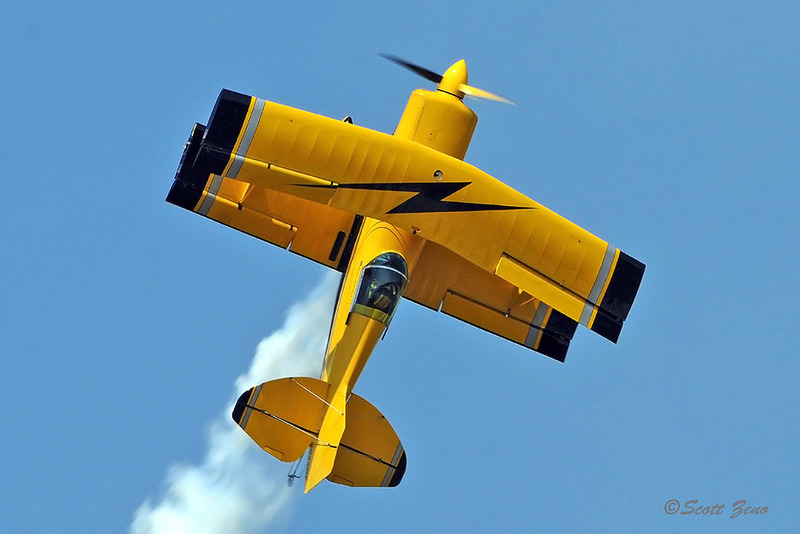 Buck then performed double hammer-heads and negative G maneuvers while the yellow bi-wing streamed white smoke against a blue sky. 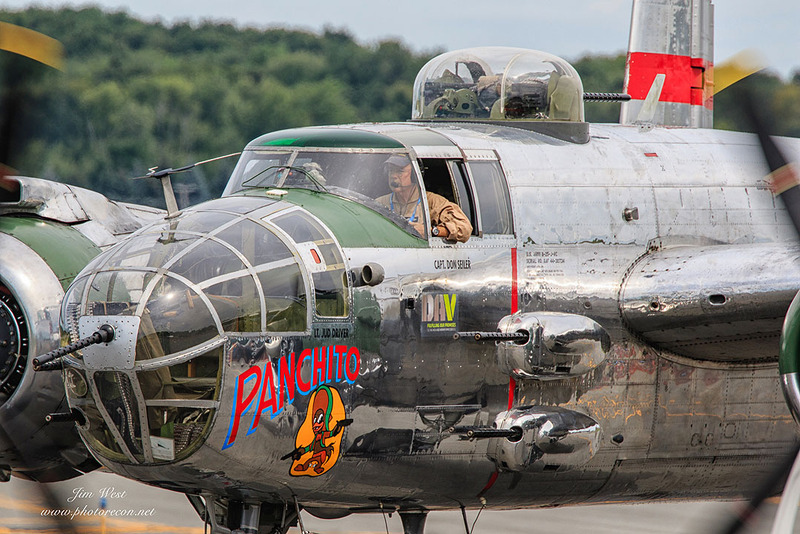 Aviation history was on parade when the “Doolittle Raiders, Thirty Seconds over Tokyo” B-25 Bomber “Panchito” took flight. 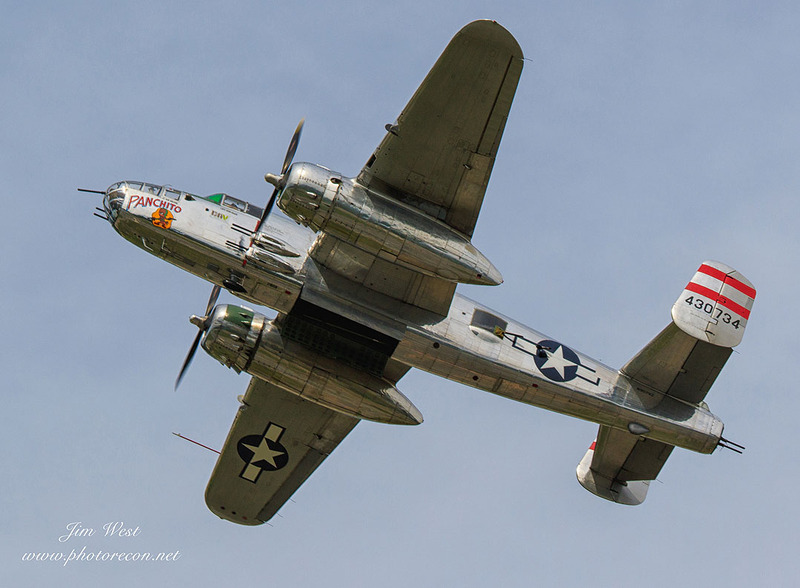 With the bomb bay doors open, the B-25 made several low-level bombing runs exposing the loaded bomb bay to the audience. 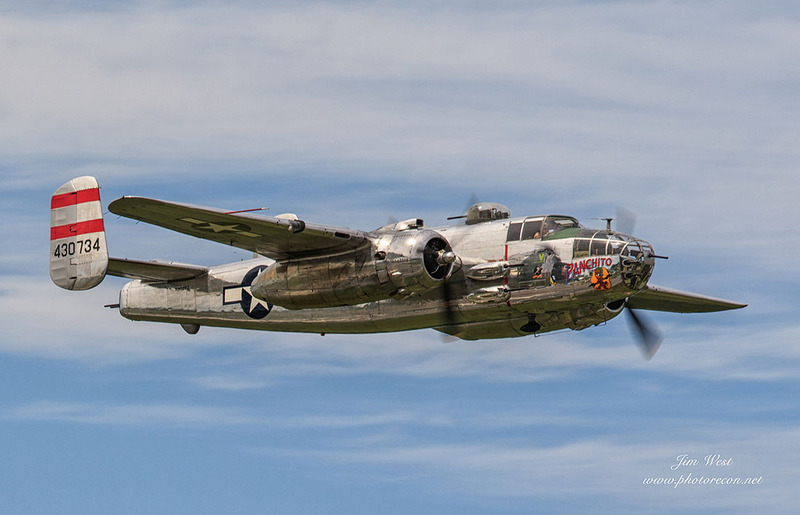 Starting in 1997, the bombs contained within the bay have been signed by hundreds of B-25 veterans. 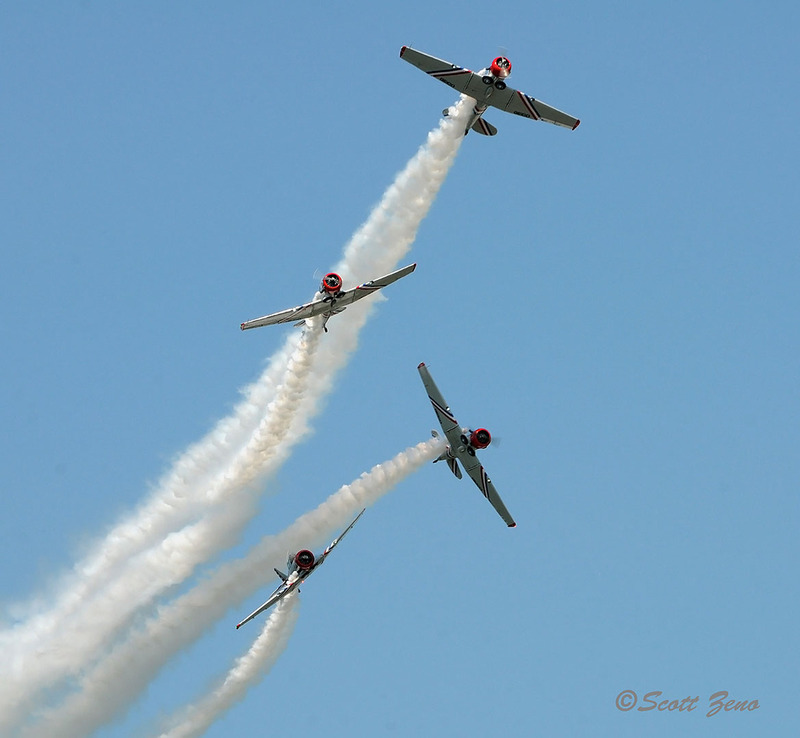 The GEICO SKYTYPERS, flying in their six WWII SNJ-2 trainers, filled the sky with smoke as they crisscrossed the show box. 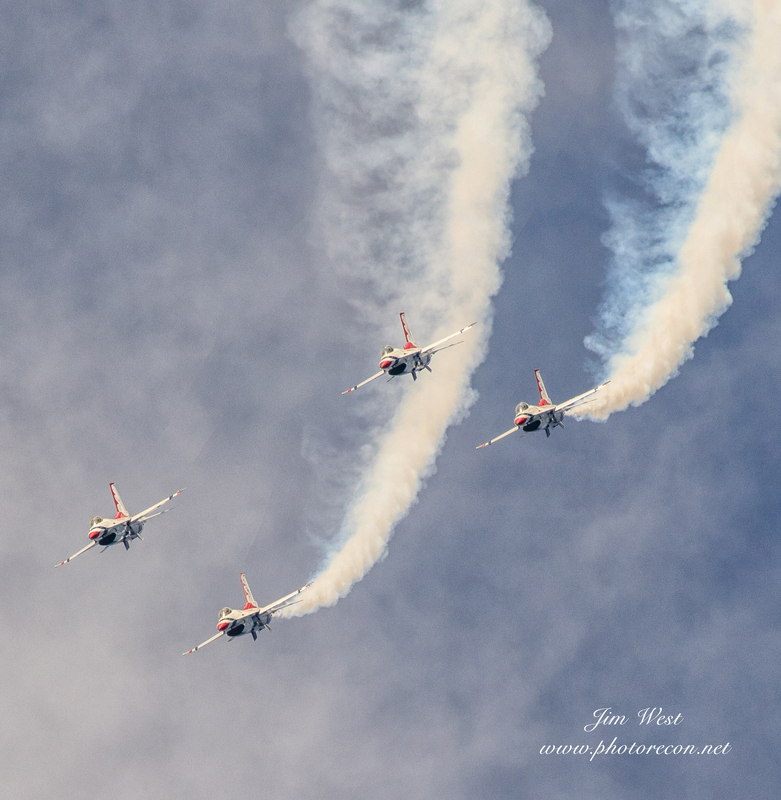 The team formation then executed the Opposing Diamond before the solos split off into rolling maneuvers. 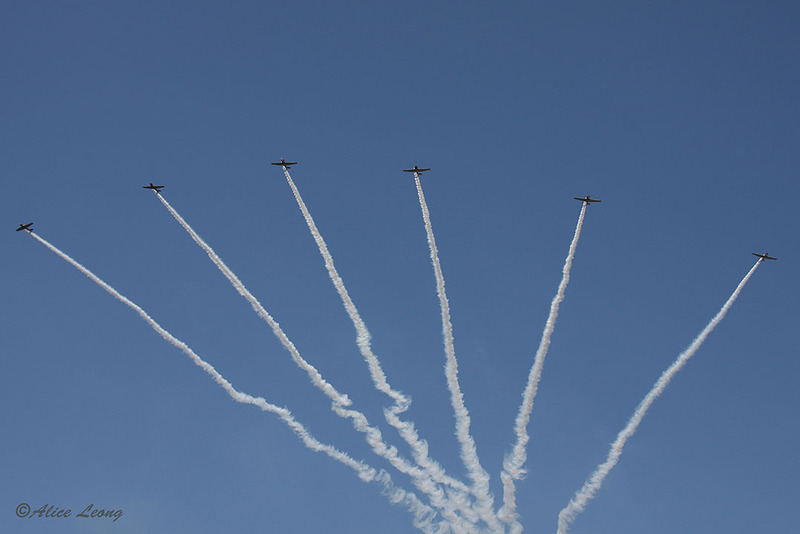 Closing out their routine, the six planes rejoined for the Bomb Burst. 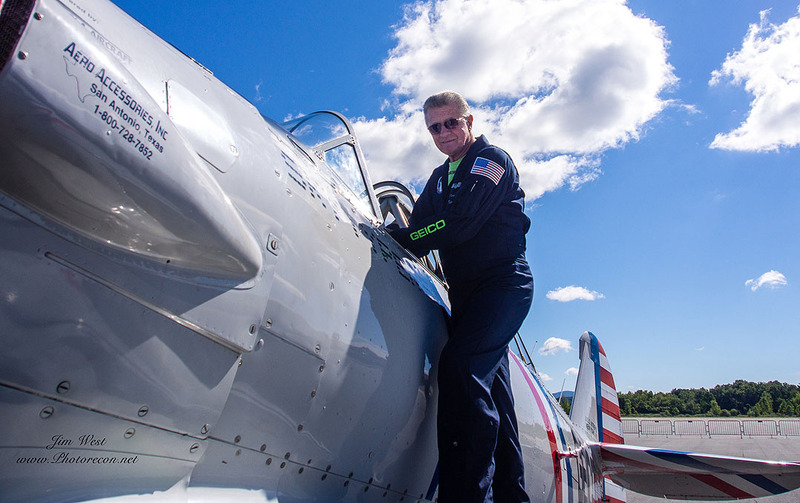 Since Newburg was an active airport all weekend, Air Boss George Cline had to allow time for intermittent breaks throughout the course of the air show for regularly scheduled airlines to arrive and depart. 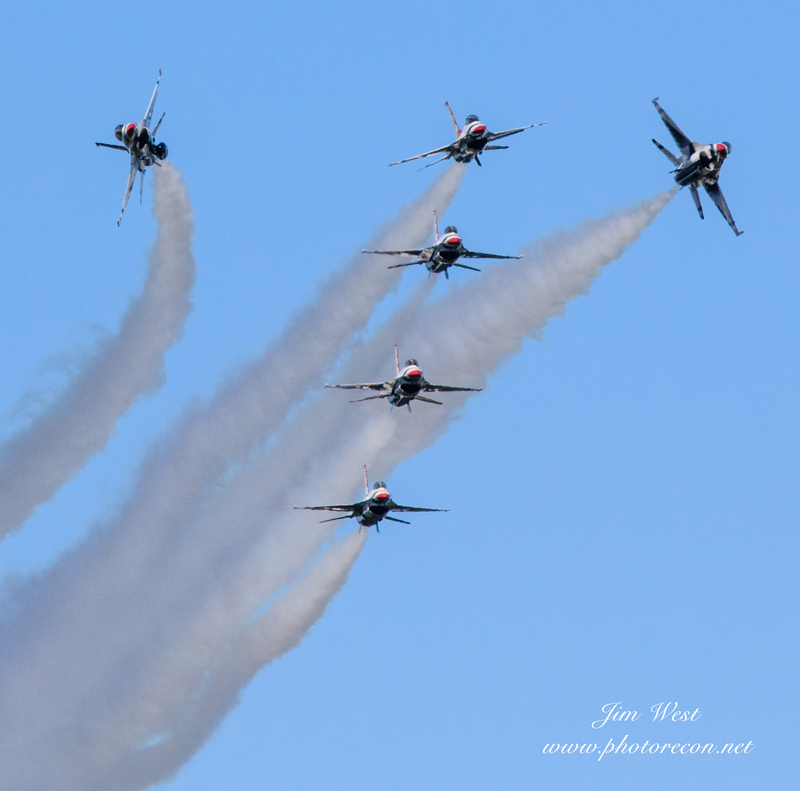 The audience, and especially the photographers, enjoyed the extra activity as an added feature to the show. 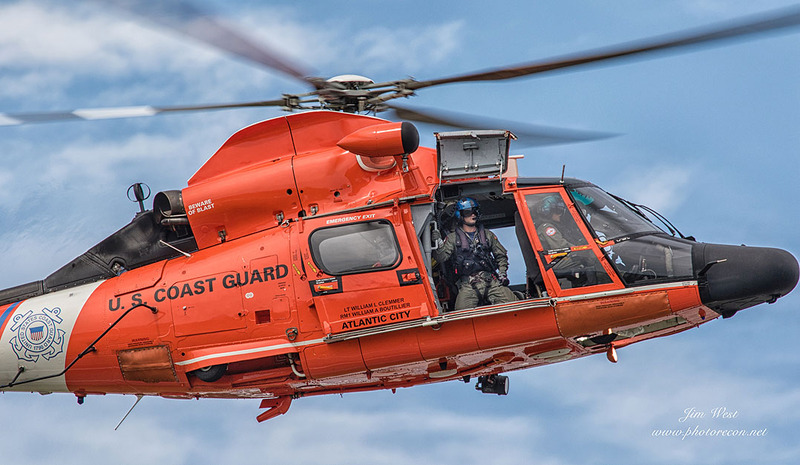 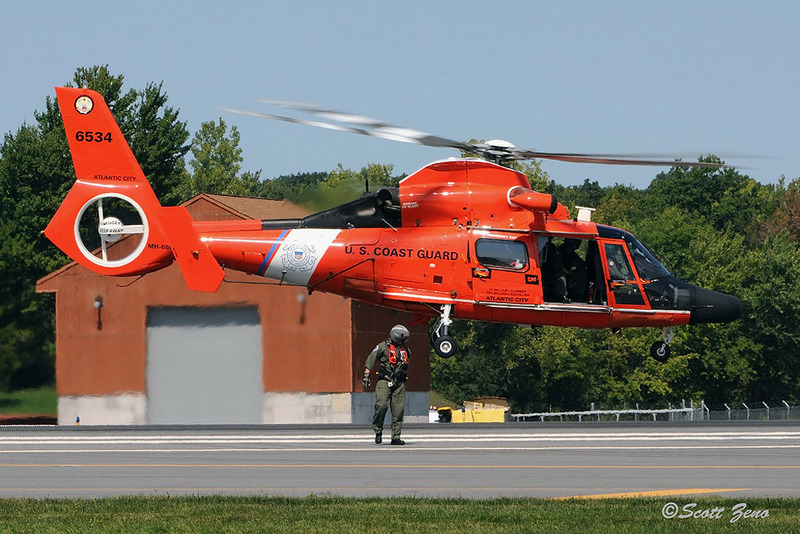 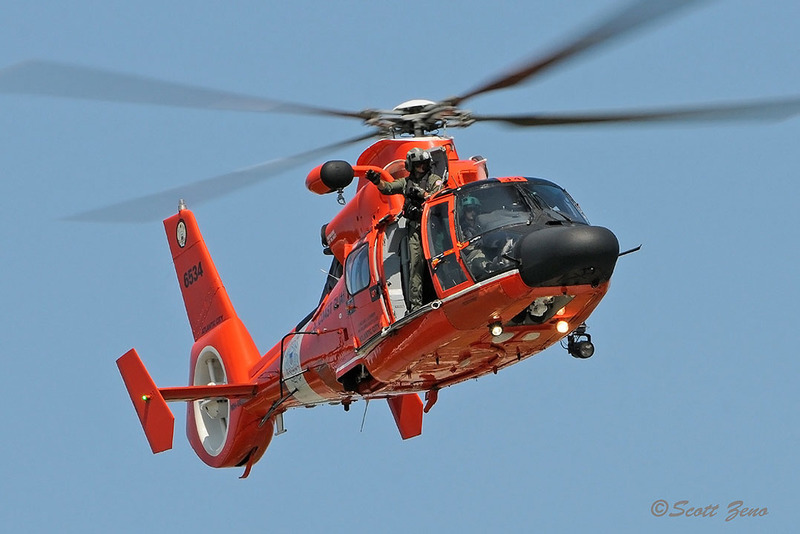 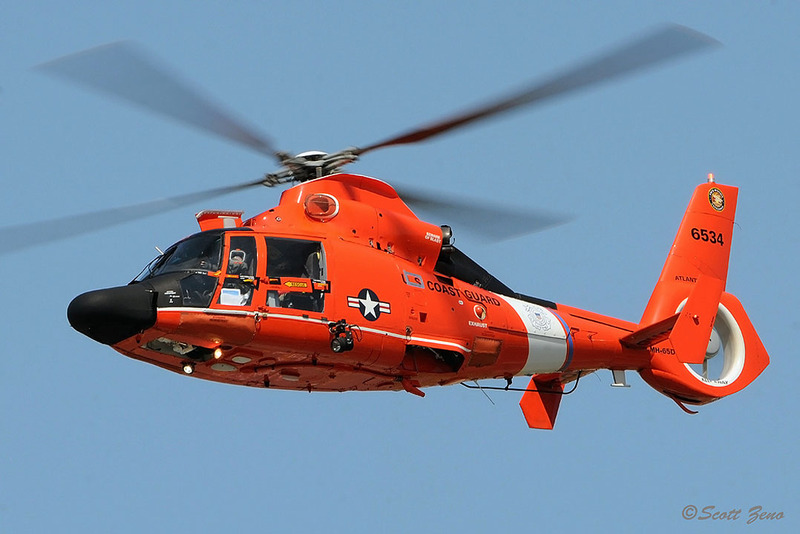 Following one of those breaks, a U.S. Coast Guard MH-65 was called in from Atlantic City, NJ to demonstrate the deployment and recover a rescue swimmer. 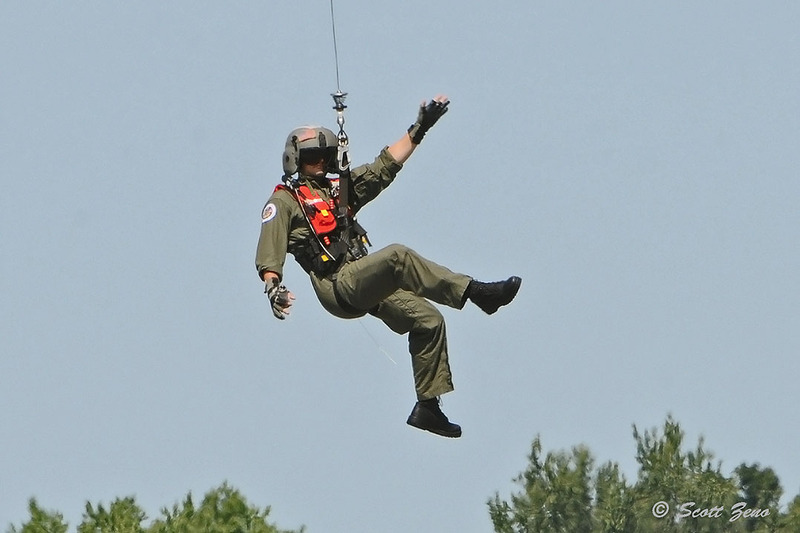 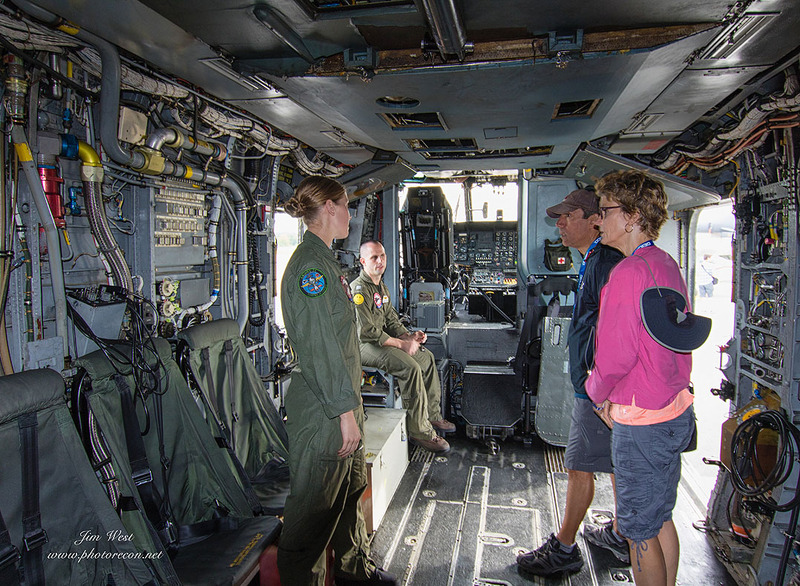 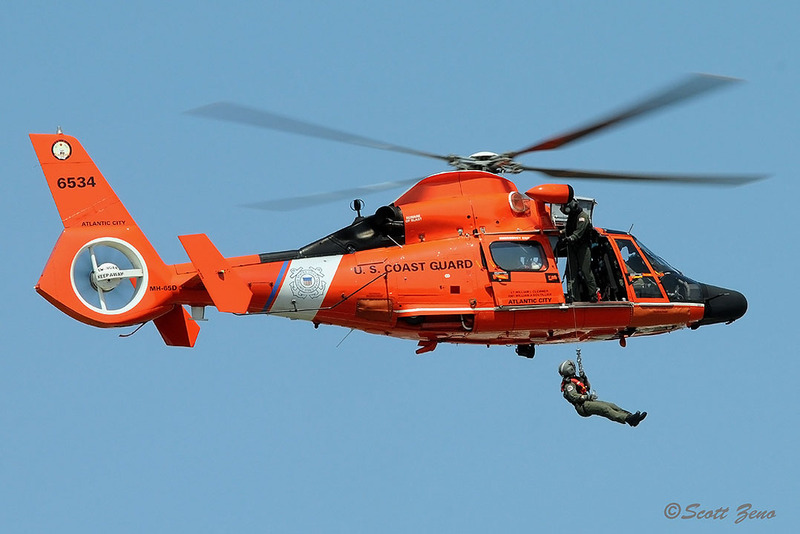 At show center, the Coast Guard exhibited to the crowd what they do on a regular basis- Search and Rescue missions. 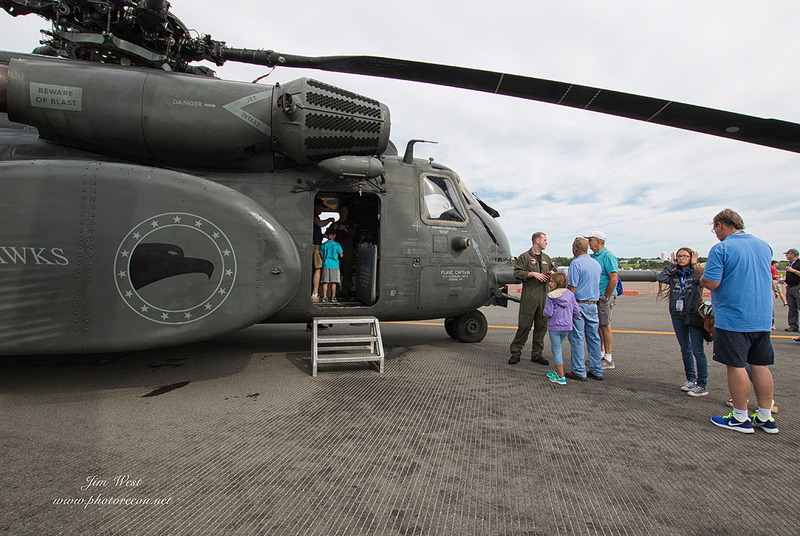 The MH-65 departed for home to exuberant applause from an appreciative audience. 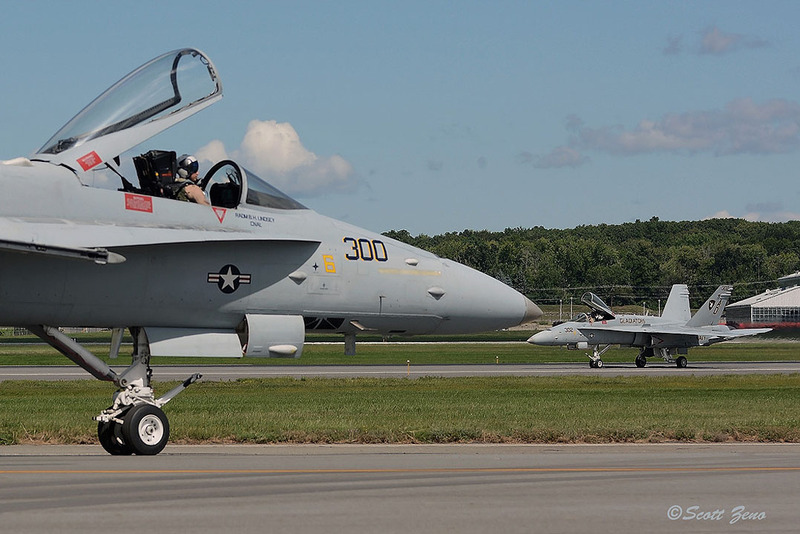 An anxiously waiting crowd was on its feet when the U.S. Navy F/A-18C Hornet Demo took off. 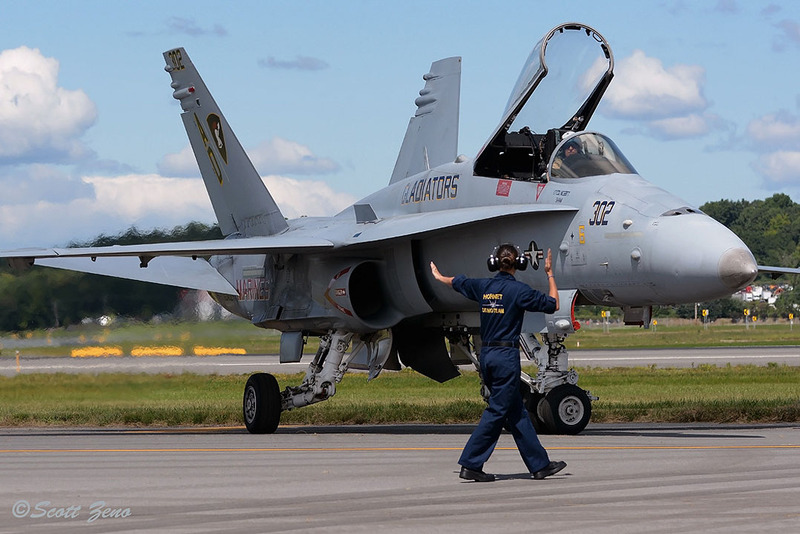 VFA-106’s demo pilot Lt. Scott “MacGruber” Lindahl began his routine with a mach .93 initial opening pass. 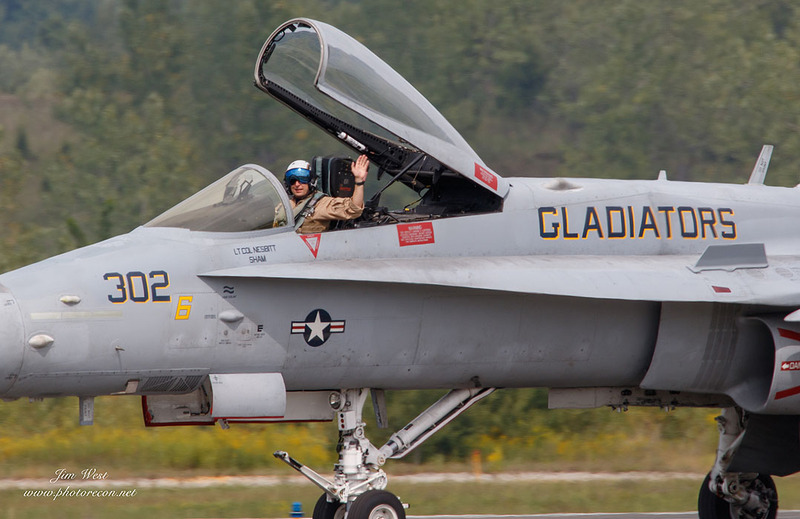 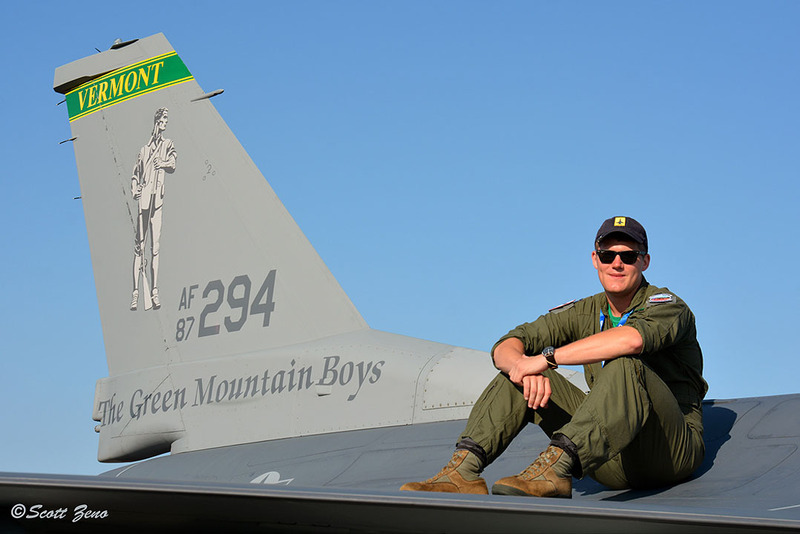 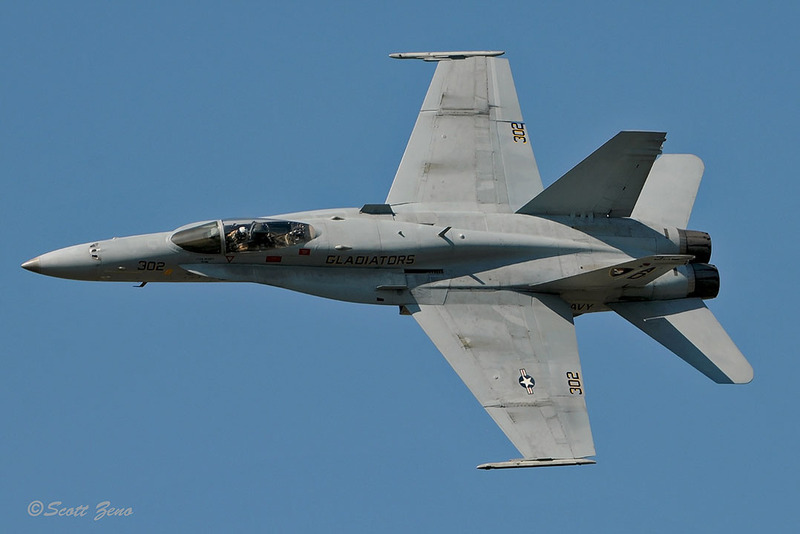 “MacGruber” then demonstrated the tactical capabilities of the F/A-18C with maneuvers that ranged from pulling one to eight Gs, the High Alpha as slow as 110 mph and afterburner passes at speeds of 700 mph. 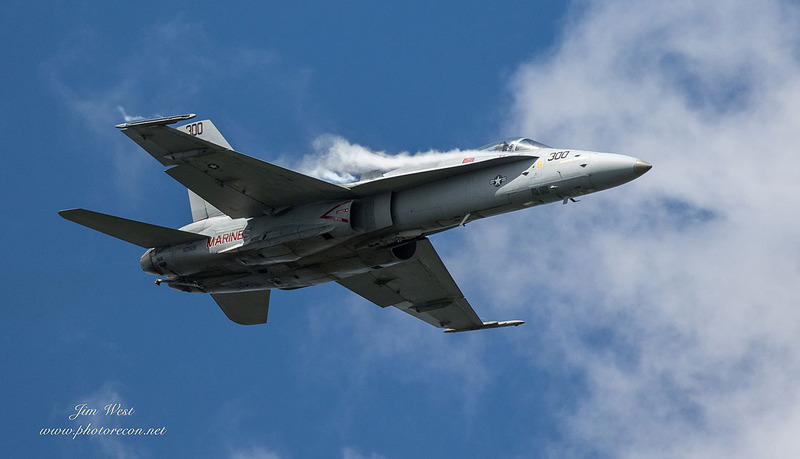 Lindahl’s last flyby was a mach .95 sneak pass. 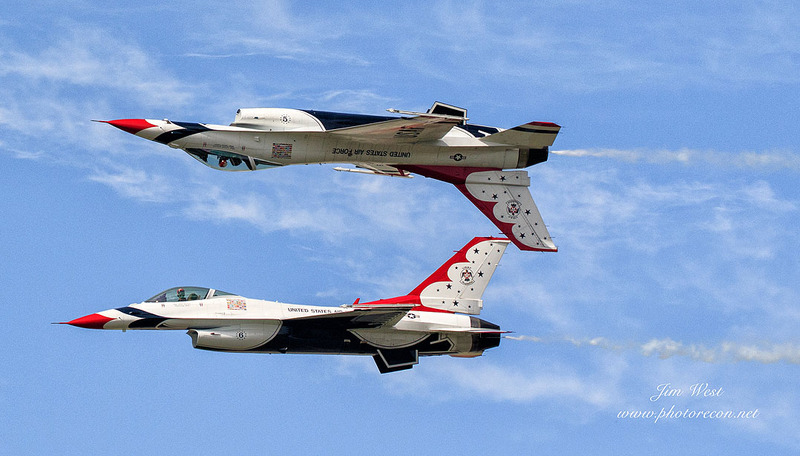 But wait, it wasn’t over! 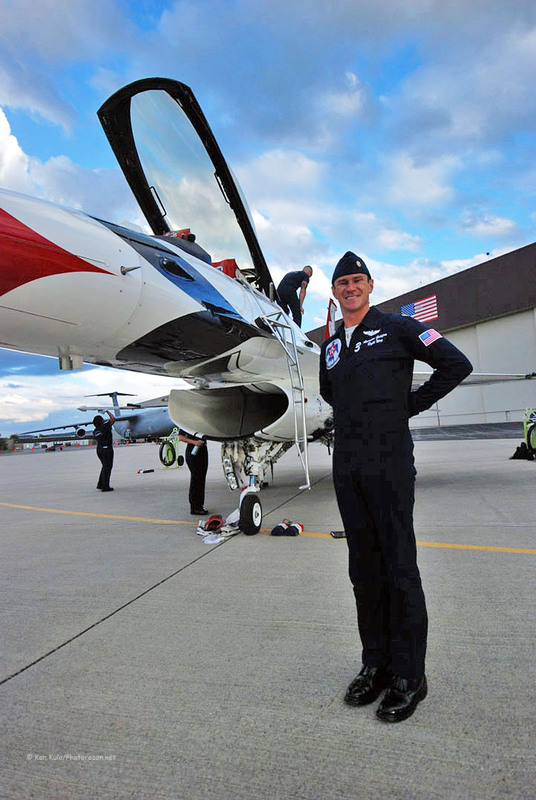 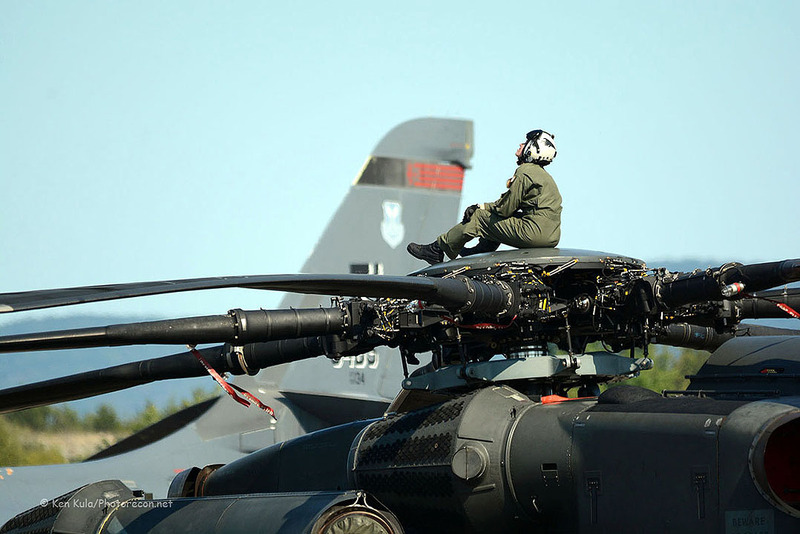 Air Boss Cline informed the Lieutenant there was some extra flying time left in the schedule. 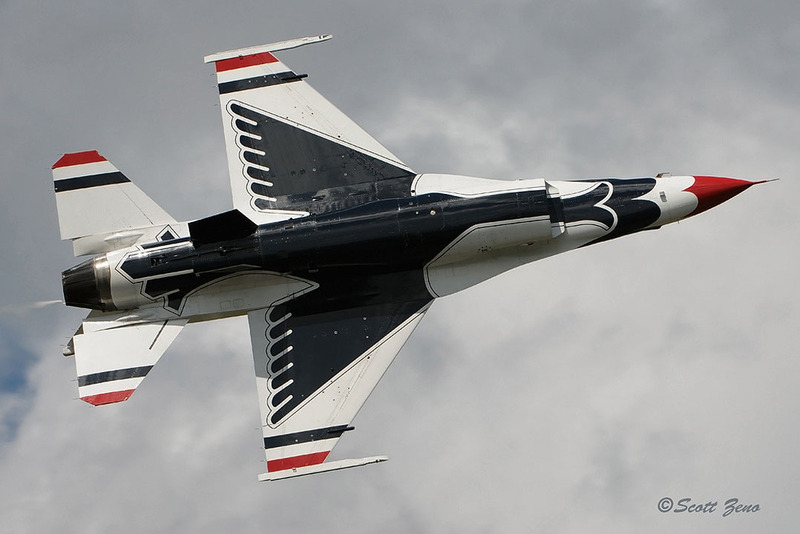 To the thrill of the crowd, “MacGruber” happily obliged with multiple high-speed passes! 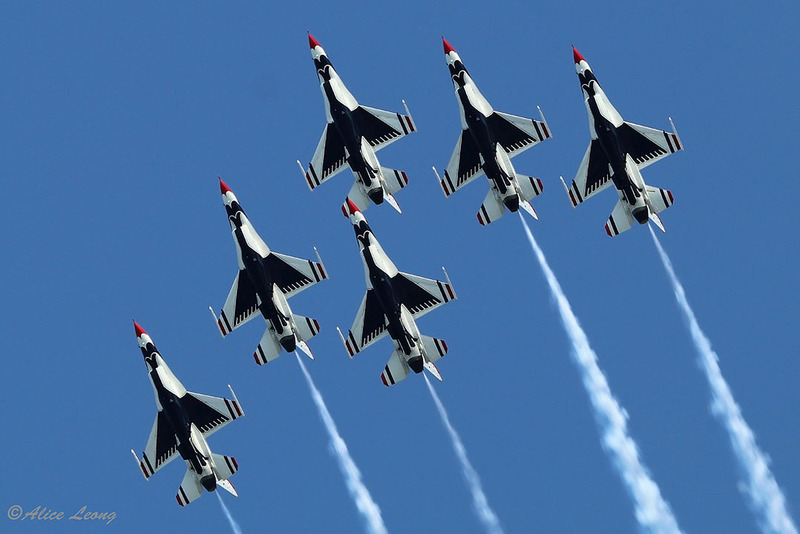 Headlining the show was the U.S. Air Force Thunderbirds. 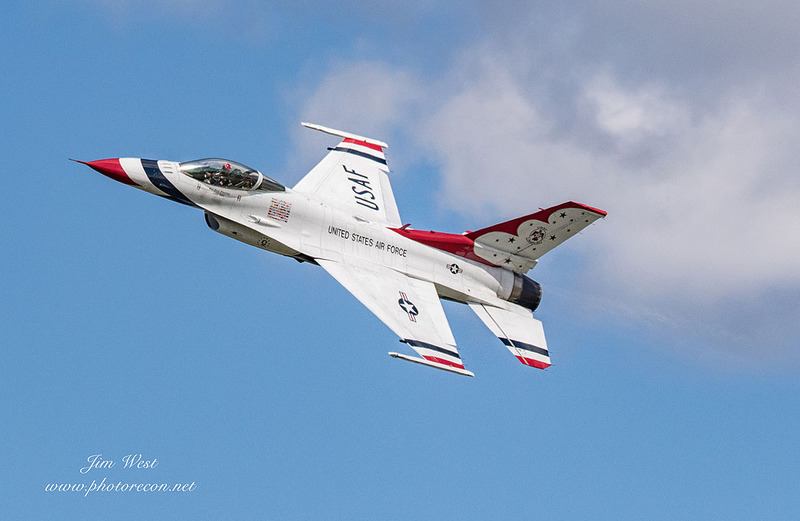 Their red, white and blue F-16s covered the field with smoke but the crowd seemed to especially like the solos High Alpha pass. 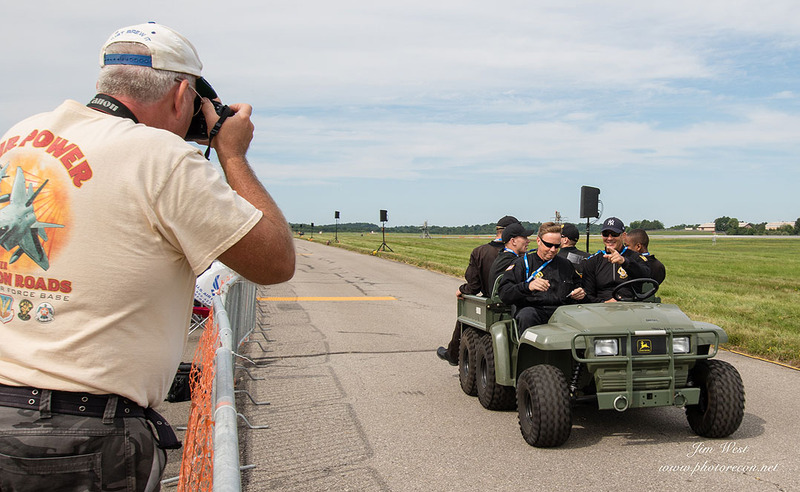 Concluding their routine, the team taxied back to parking to the sounds of Frank Sinatra’s “New York, New York” before deplaning and greeting an eager crowd wanting their favorite pilots’ autograph. 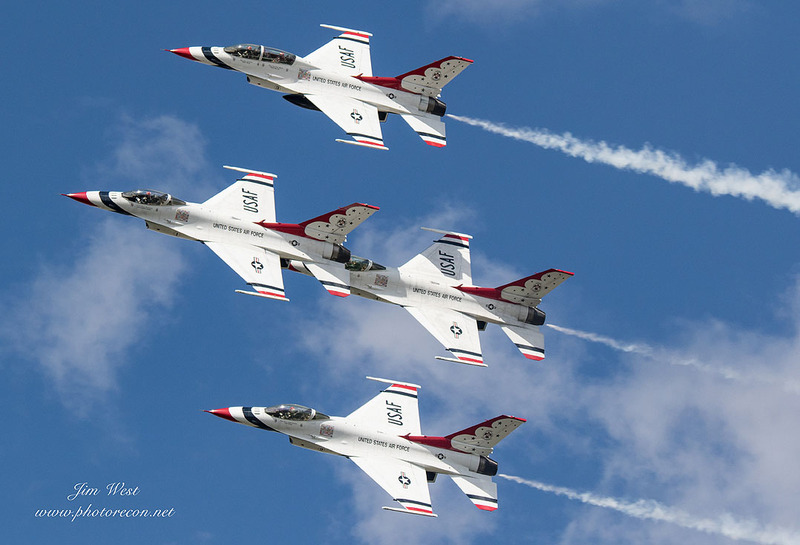 The New York Air Show is expected to continue its tradition at Stewart in 2018 with the Thunderbirds scheduled to return on September 22-23.